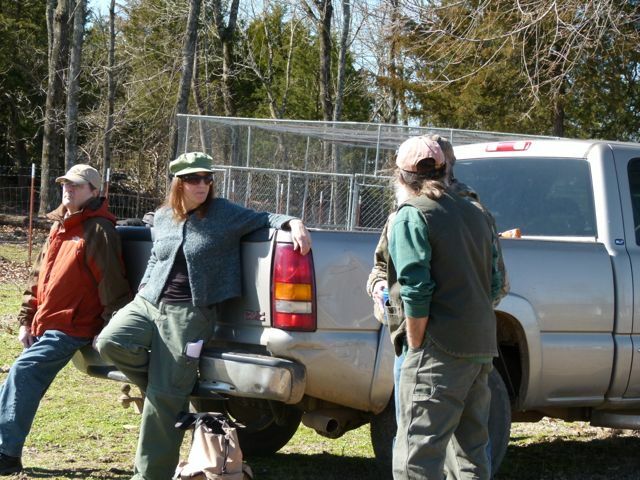 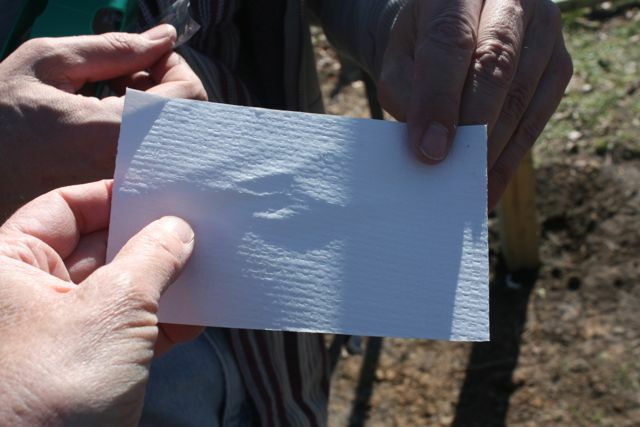 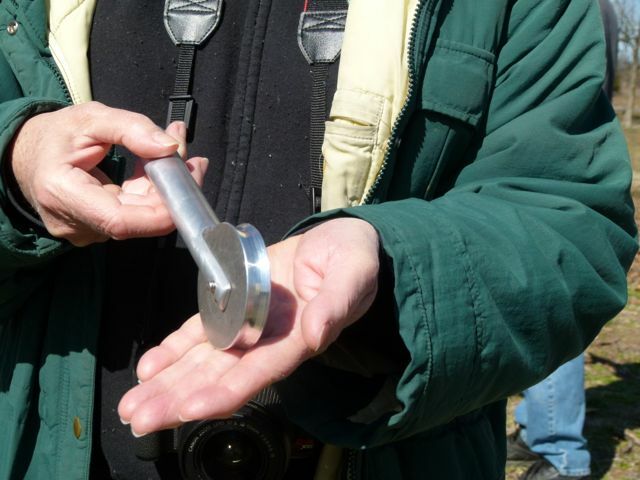 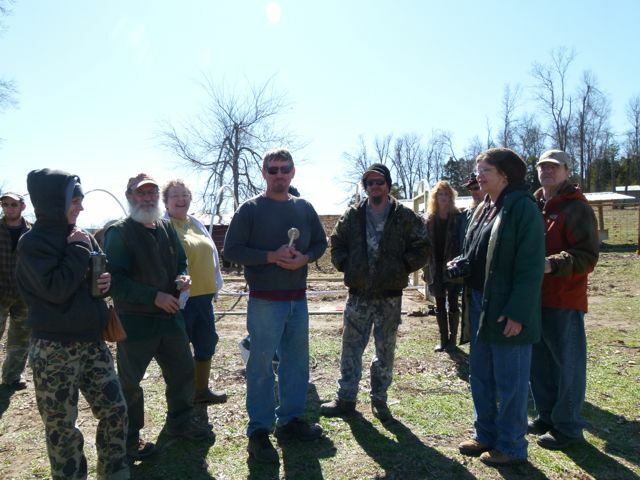 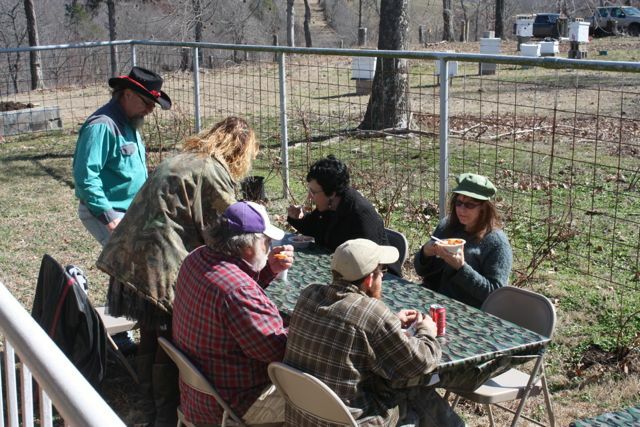 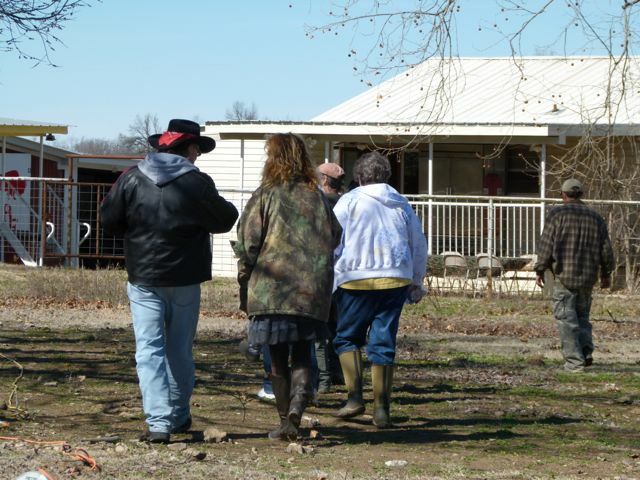 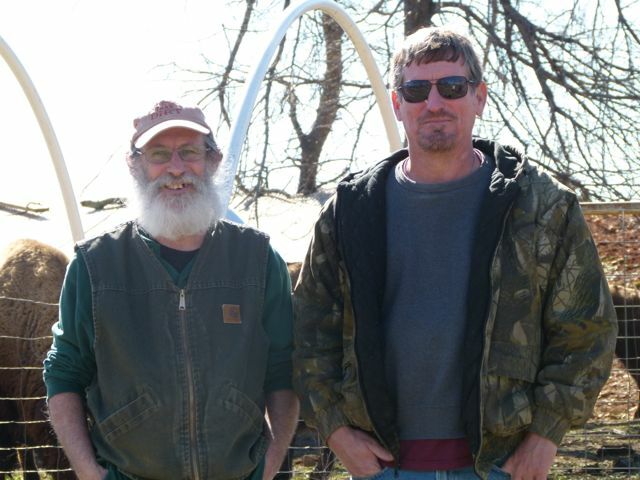 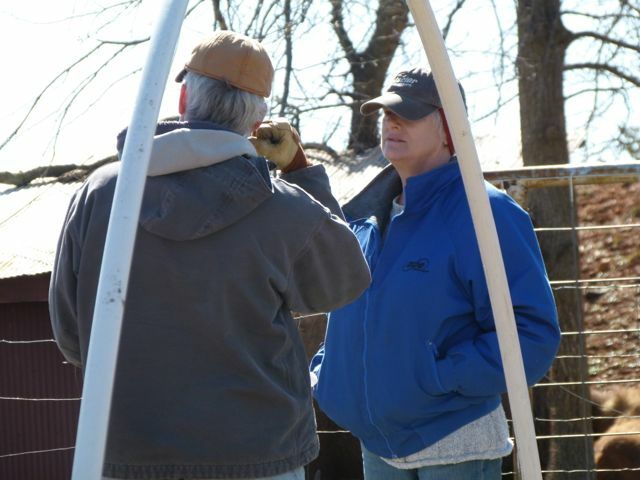 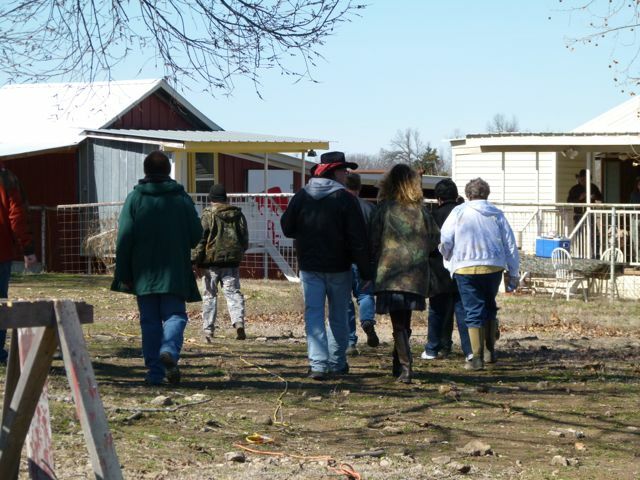 We had another great workshop at Ratchford Farms in Marshall on February 21st! 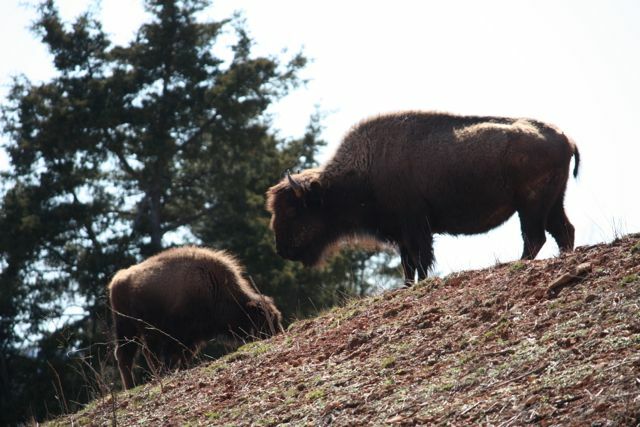 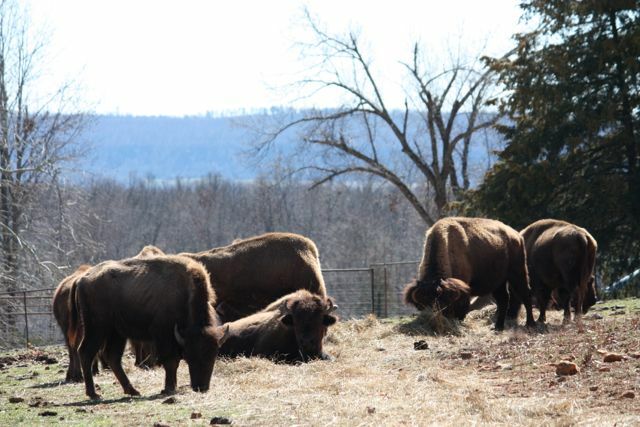 The weather was beautiful and having a herd of very curious buffalo watching our every move was a special treat! 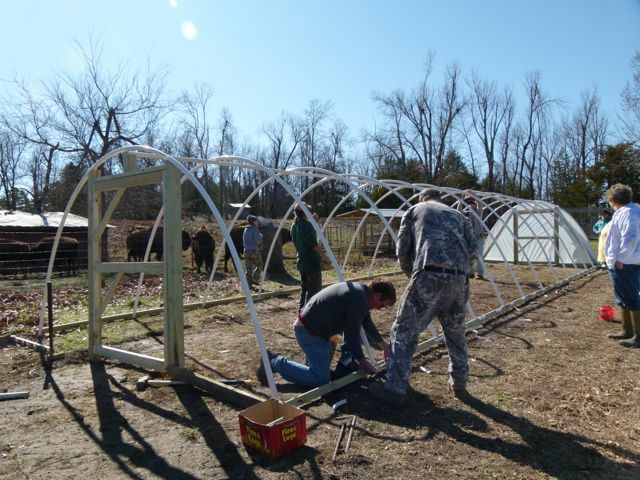 LC Ratchford reports being excited about his cold frame and intends to start planting greens very soon. 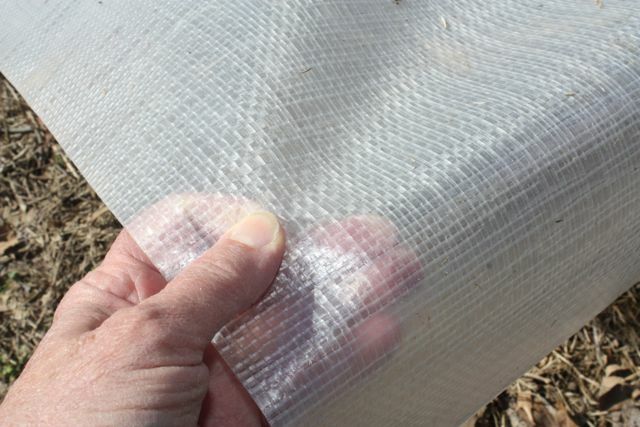 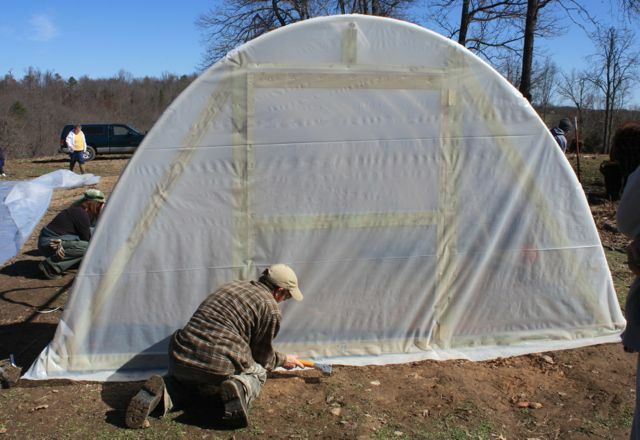 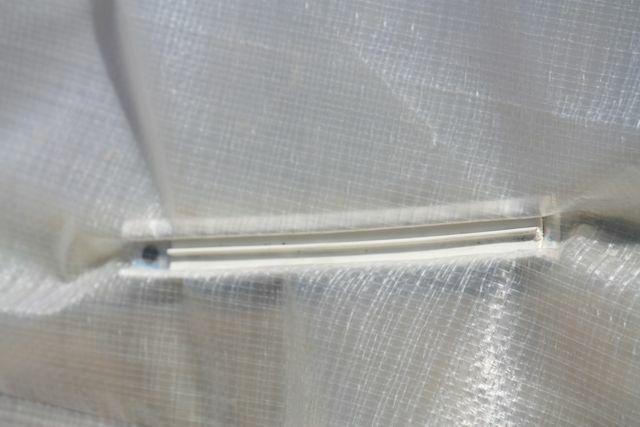 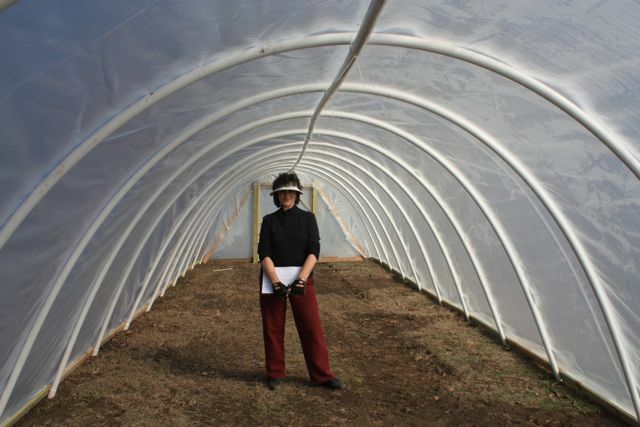 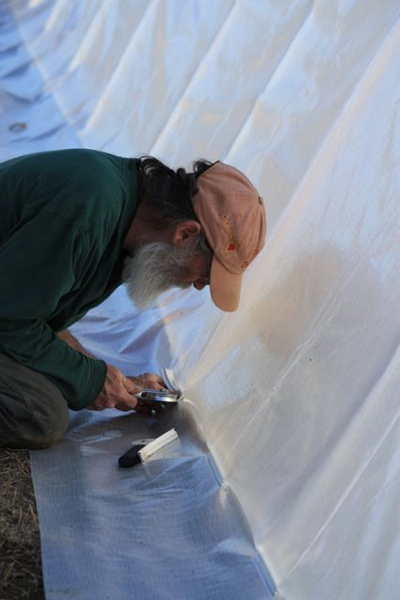 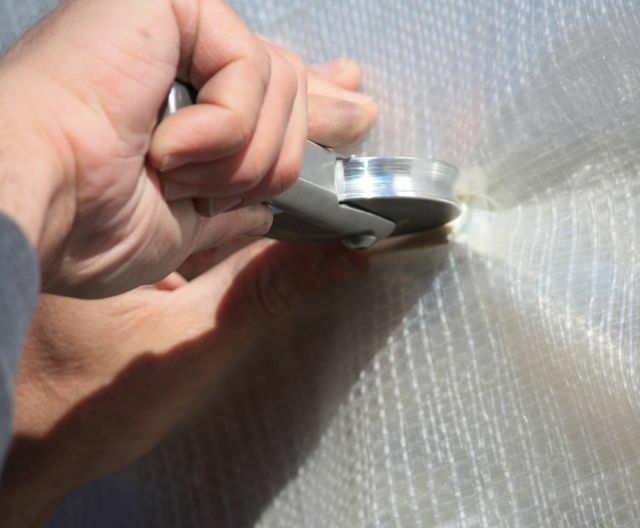 He also expects to add several more cold frames within the next year. 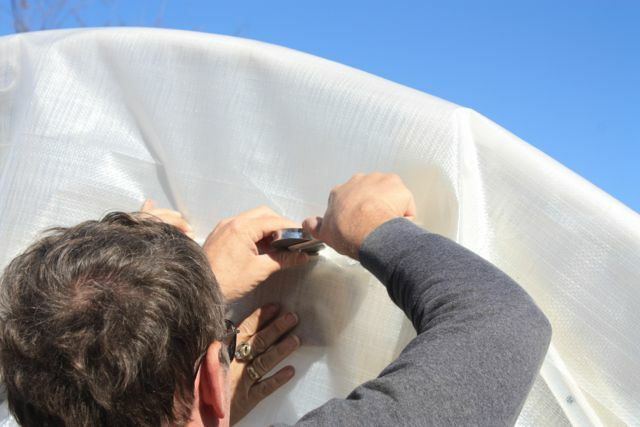 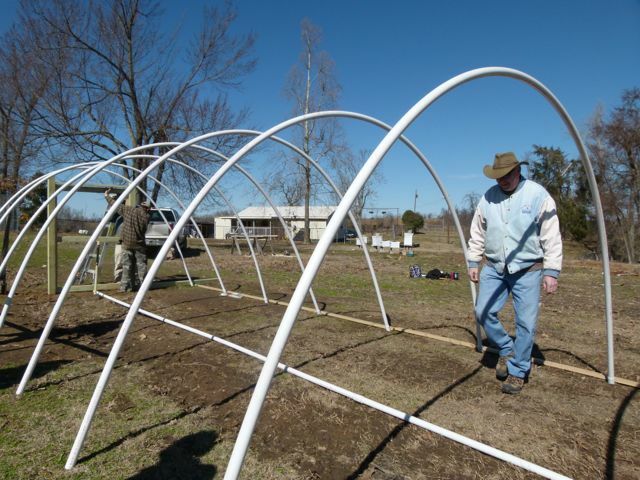 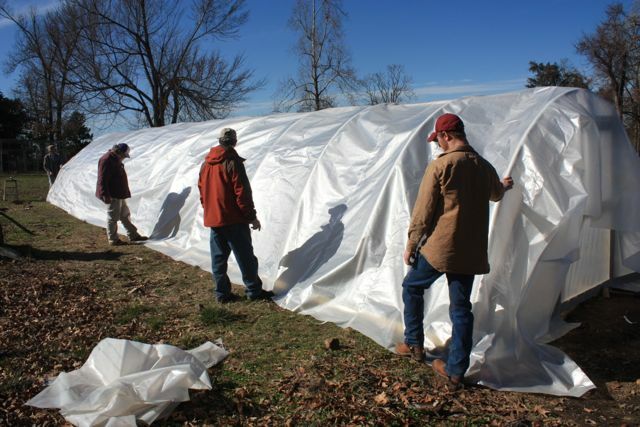 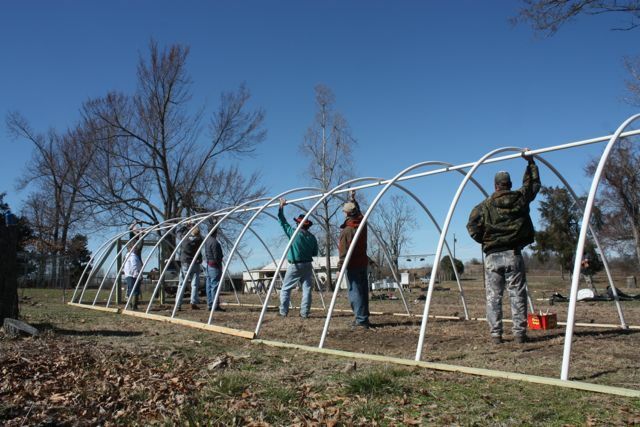 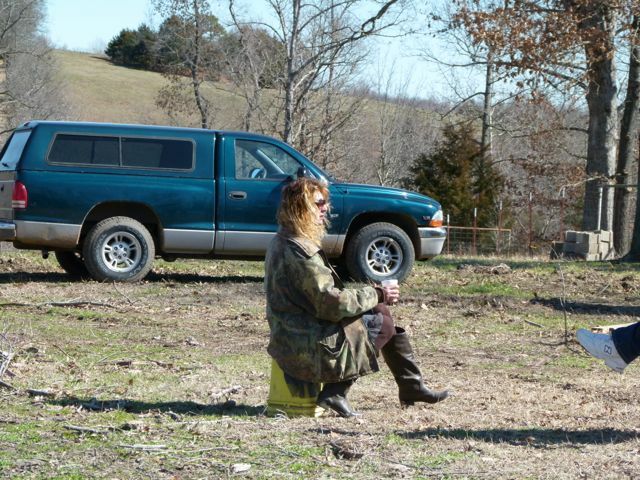 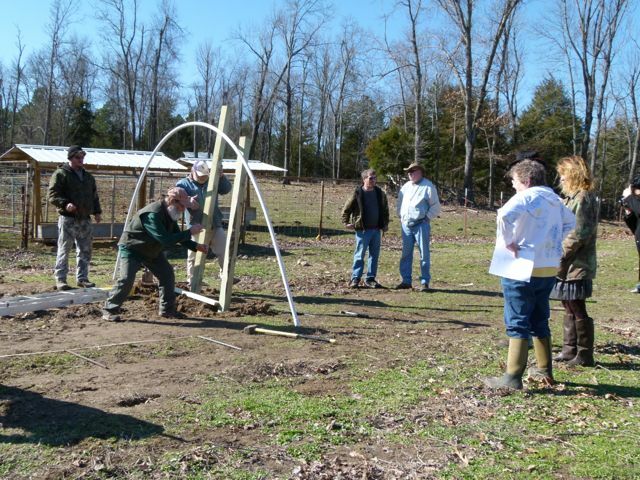 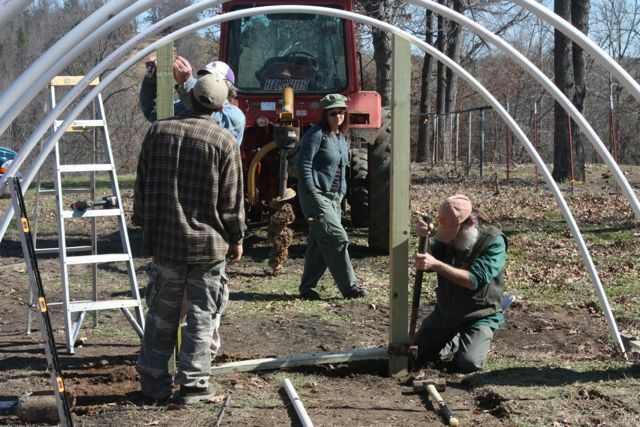 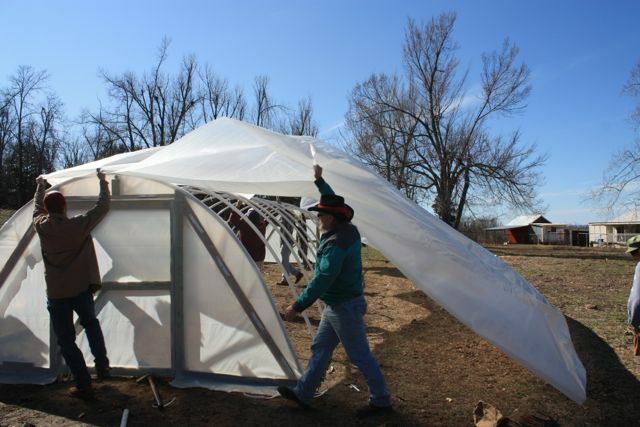 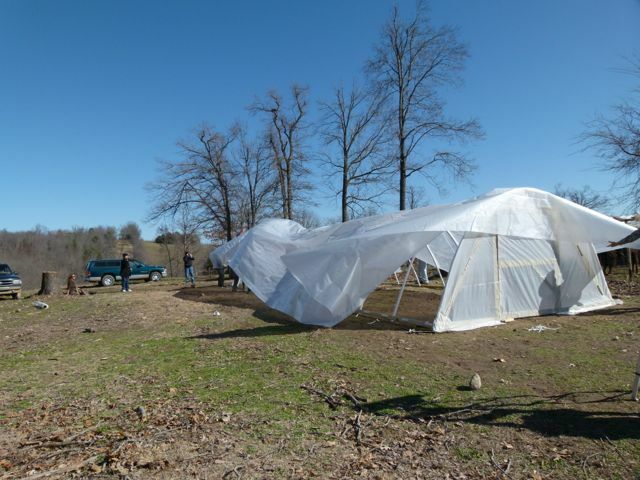 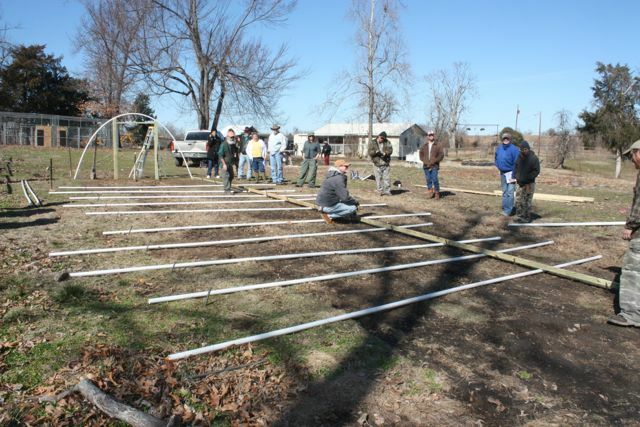 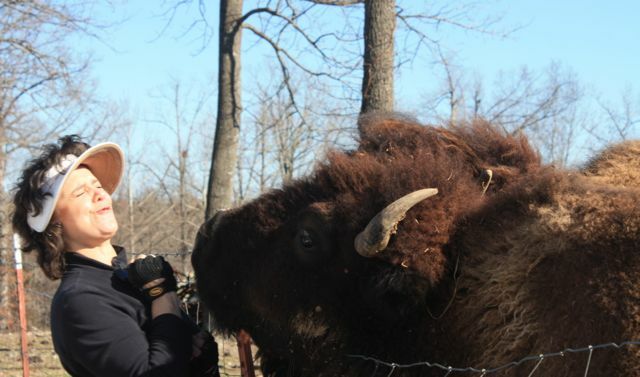 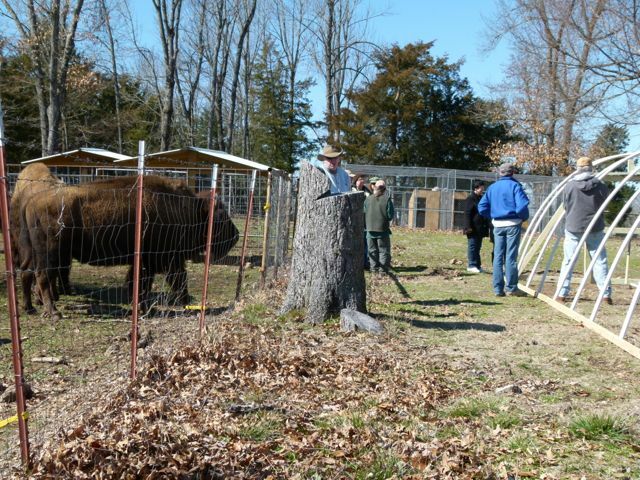 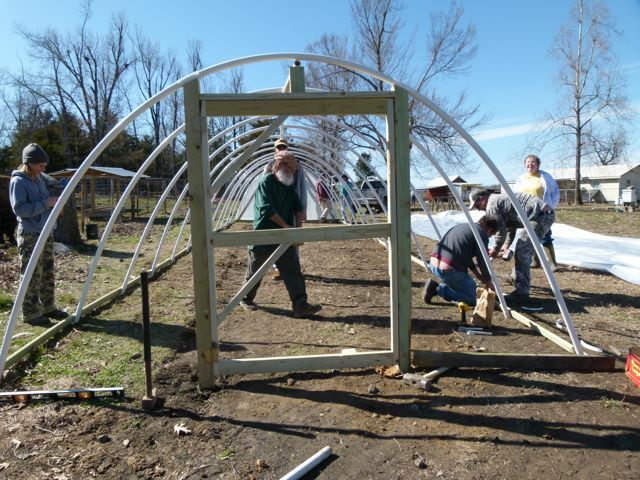 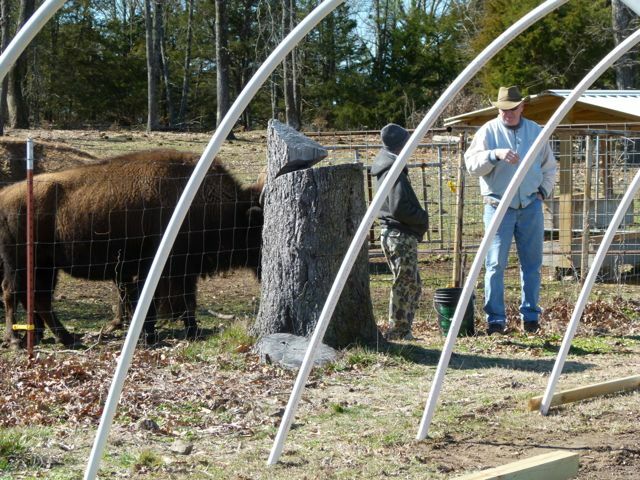 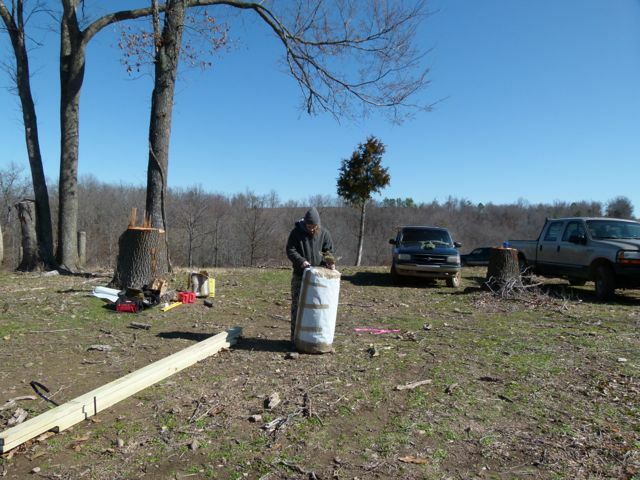 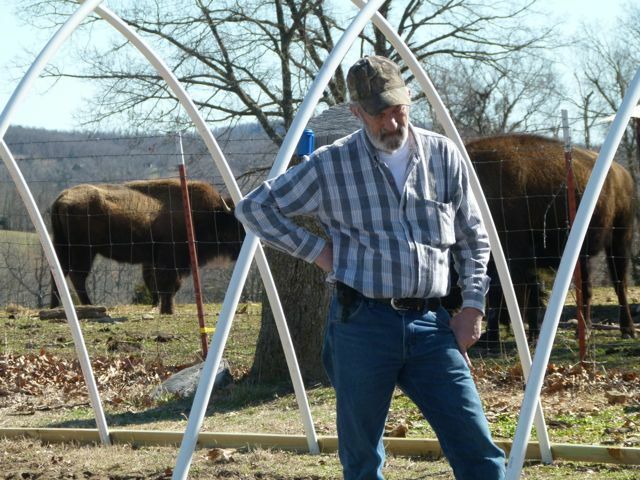 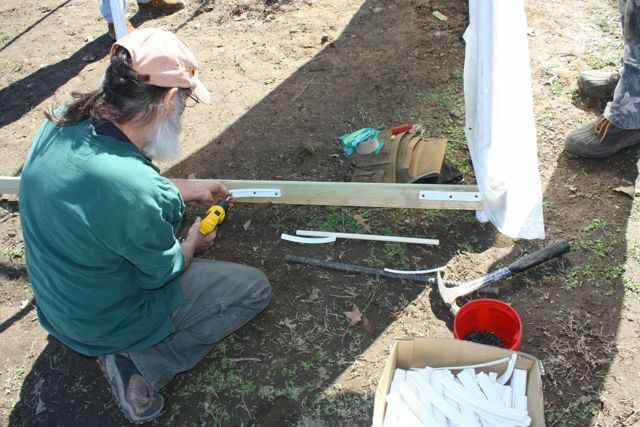 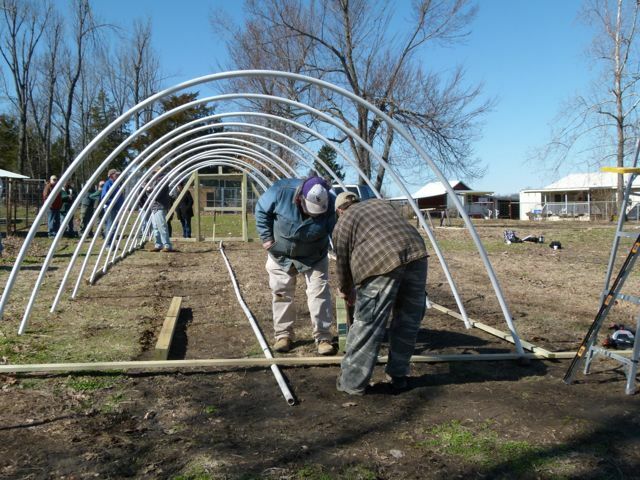 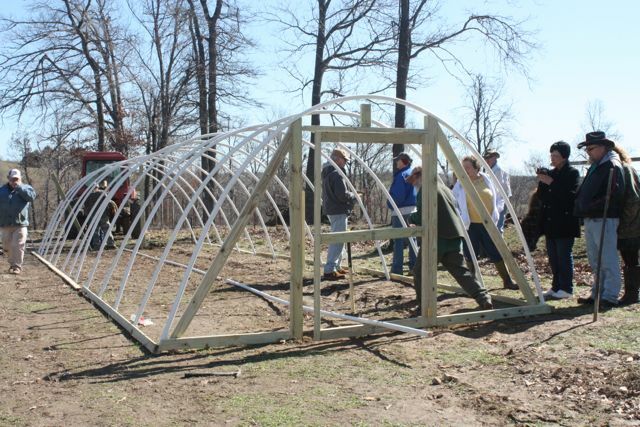 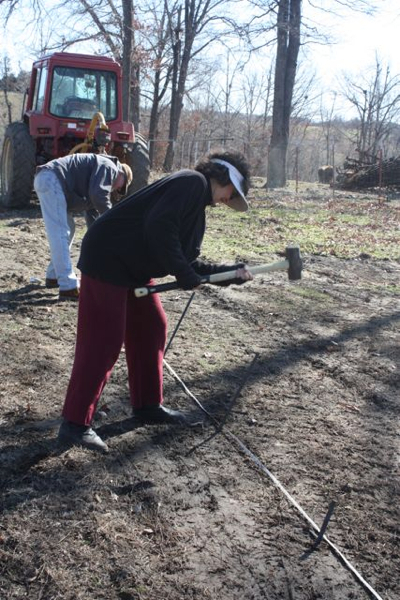 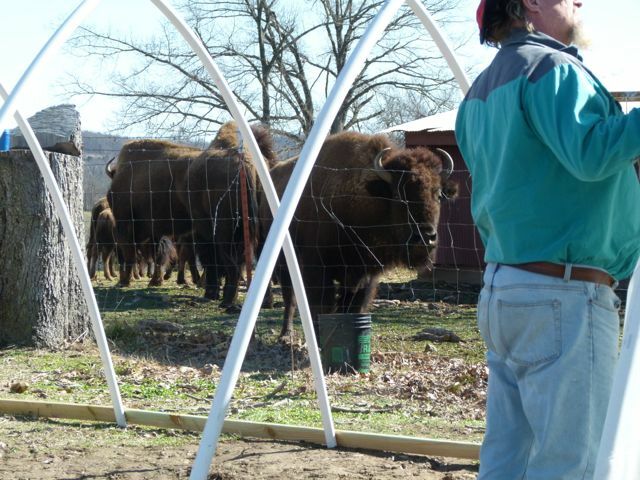 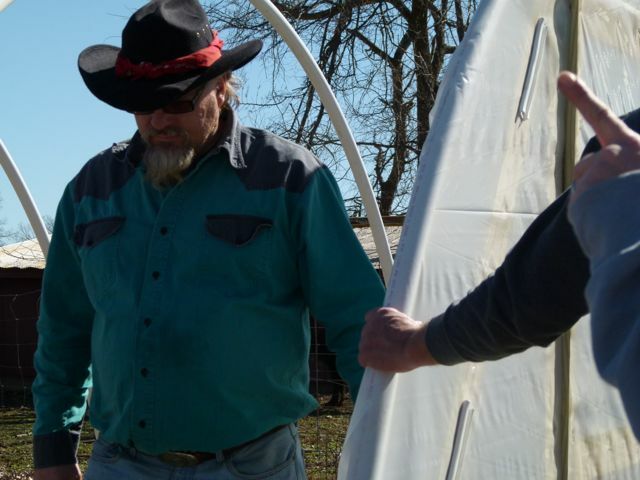 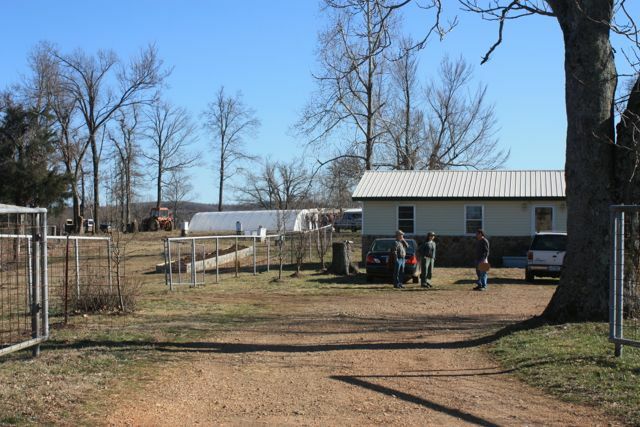 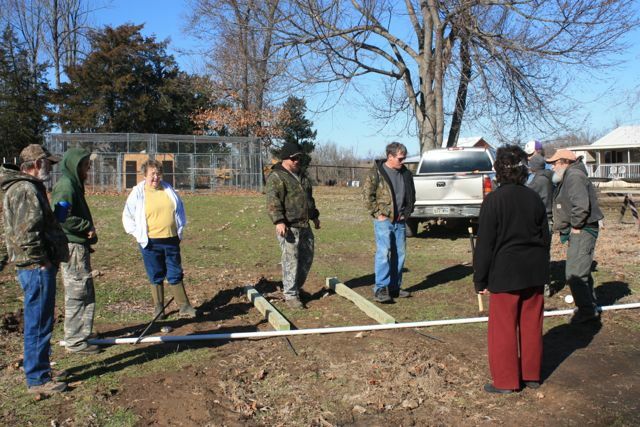 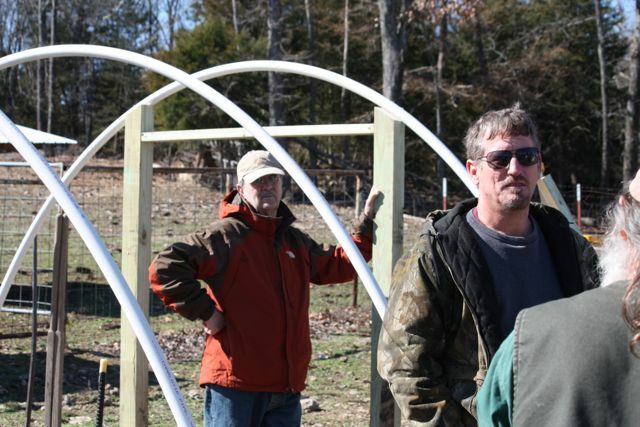 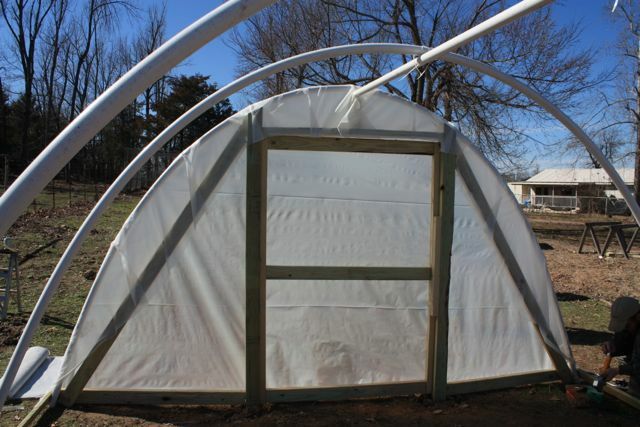 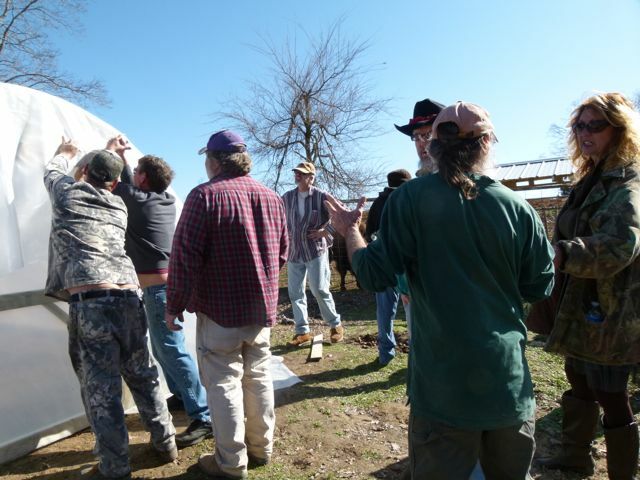 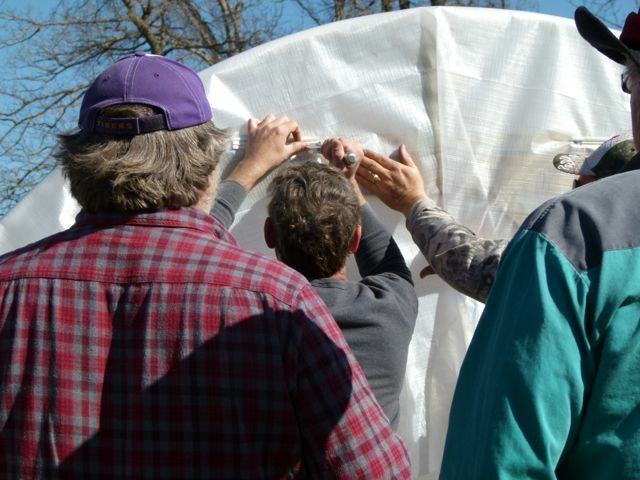 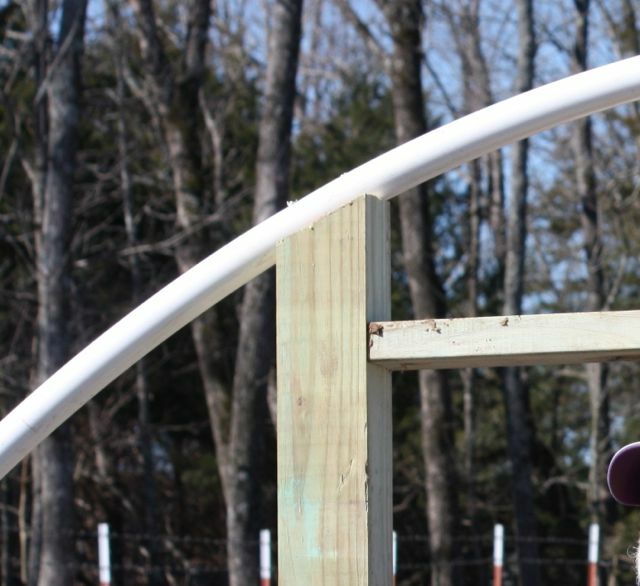 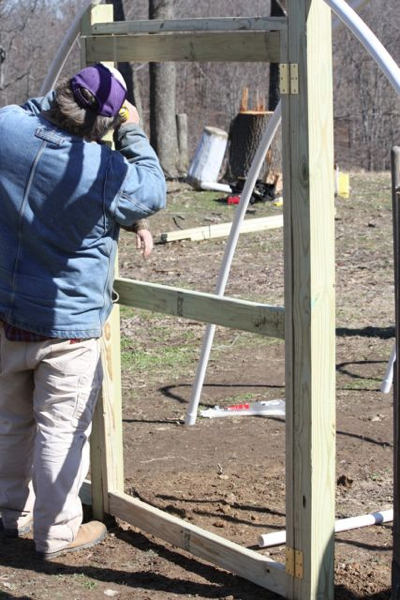 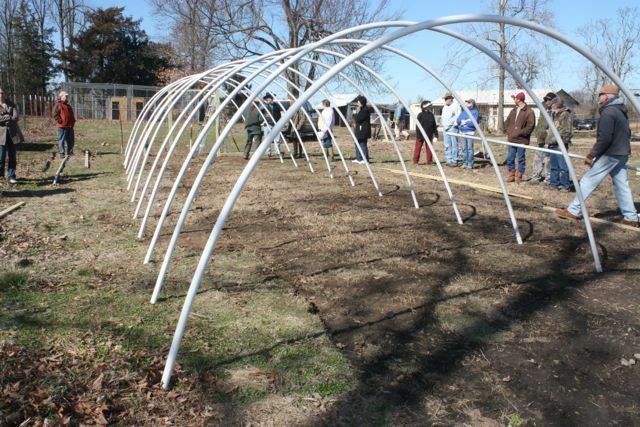 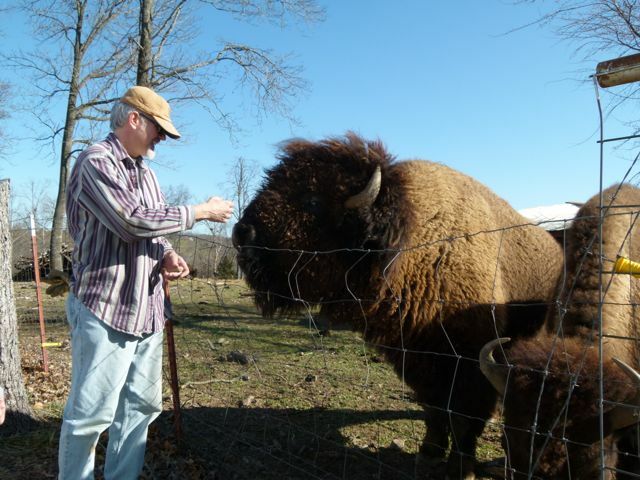 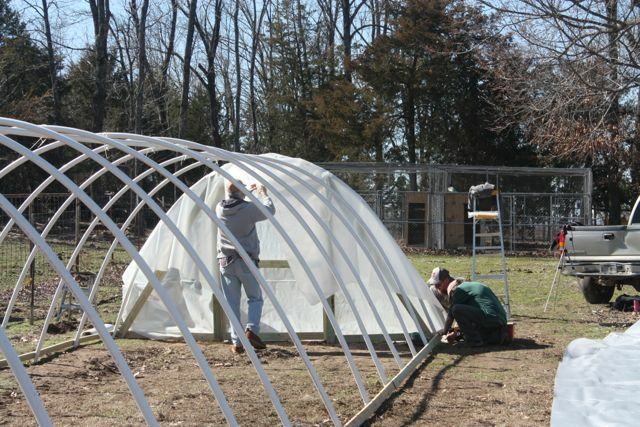 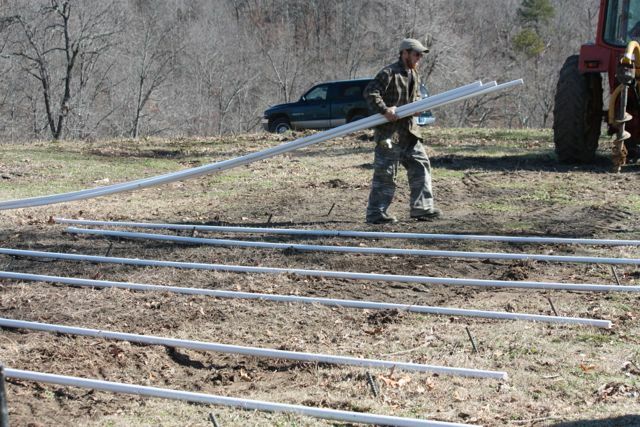 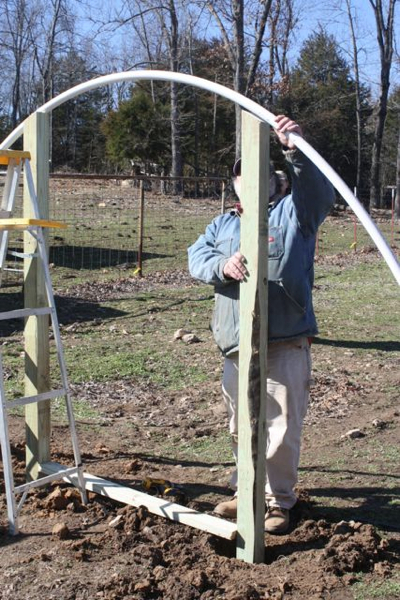 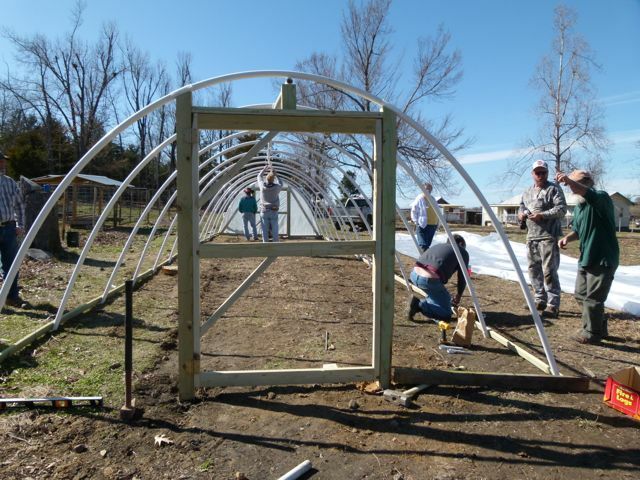 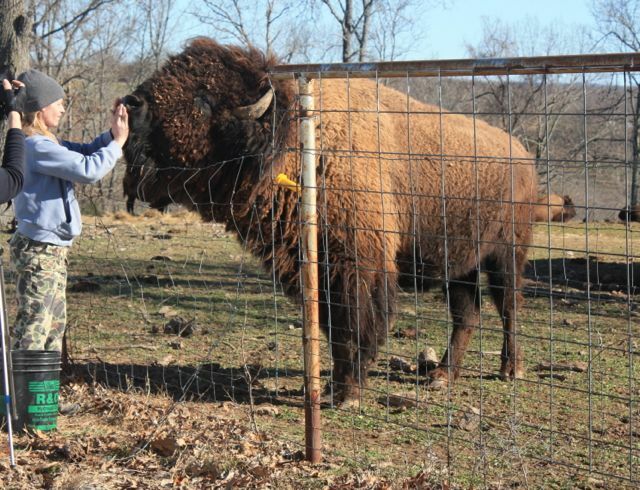 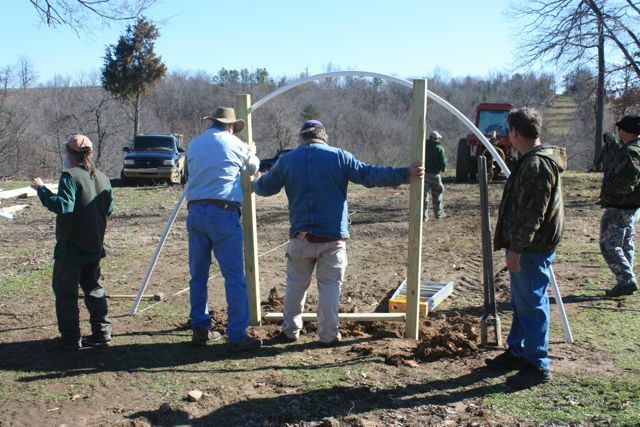 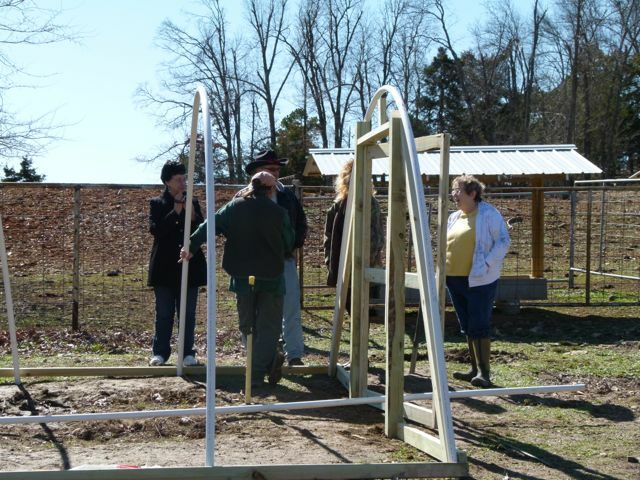 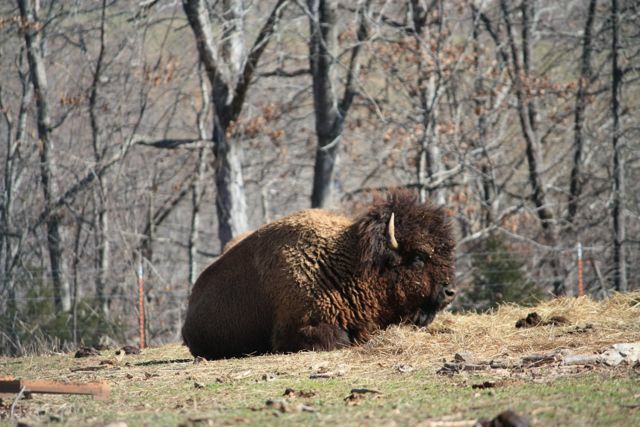 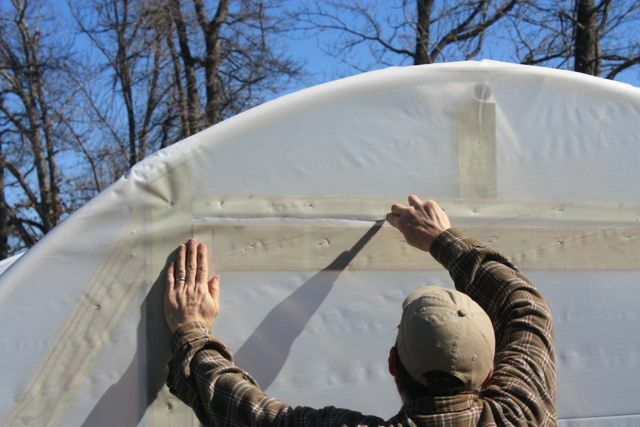 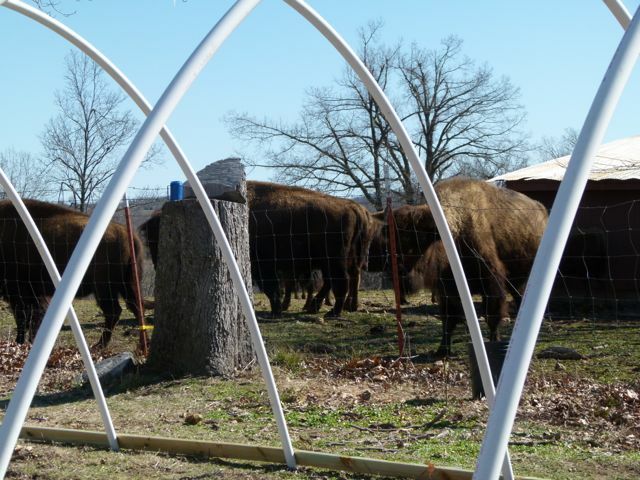 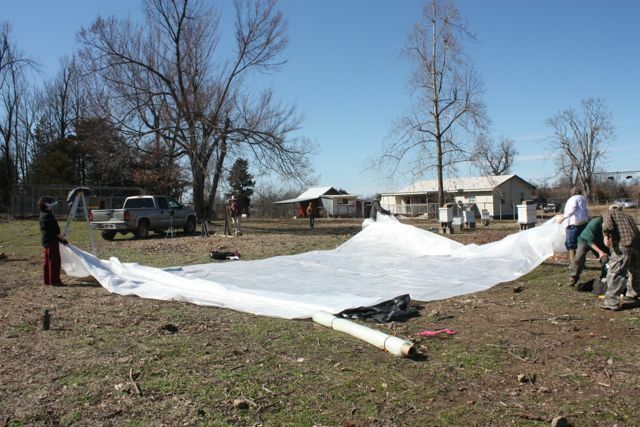 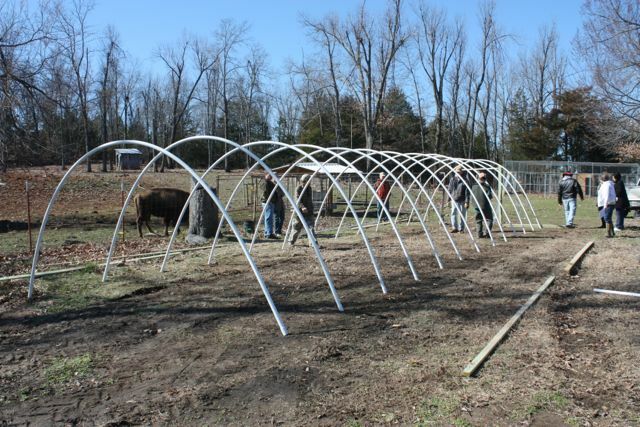 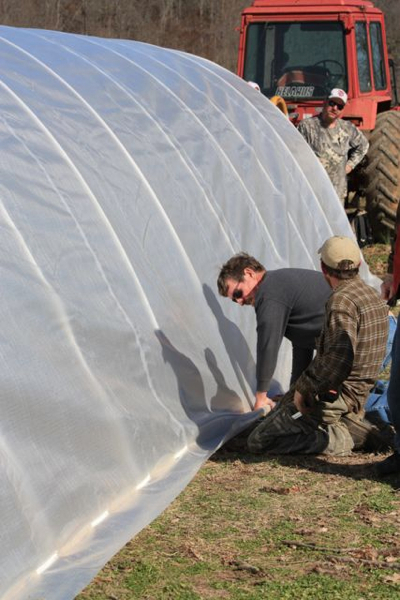 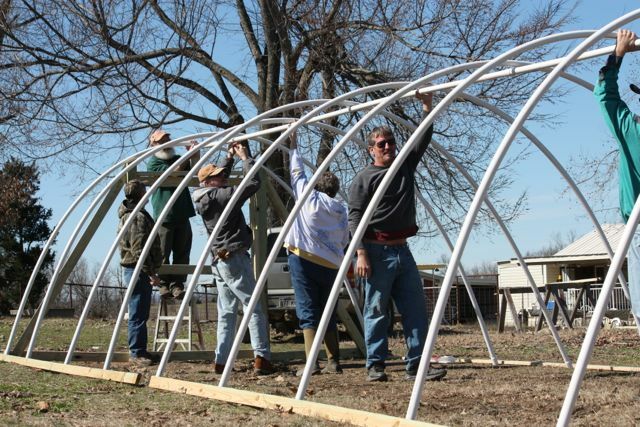 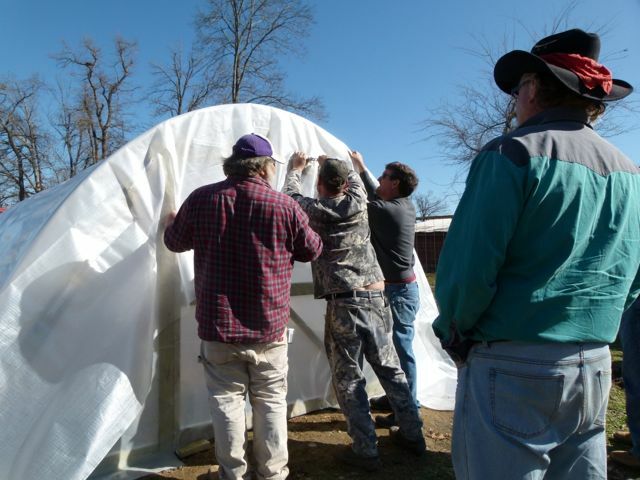 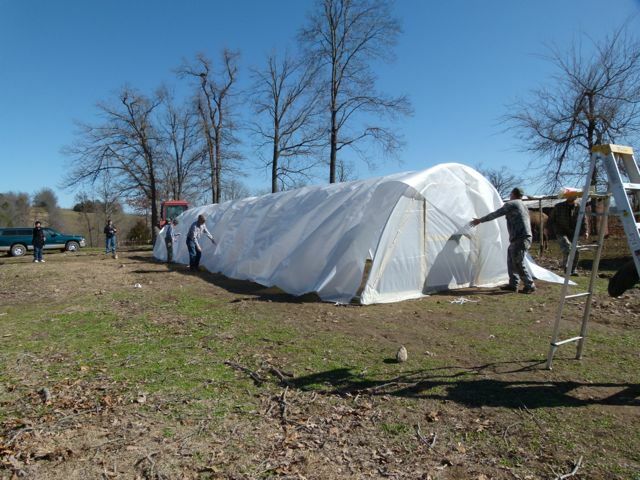 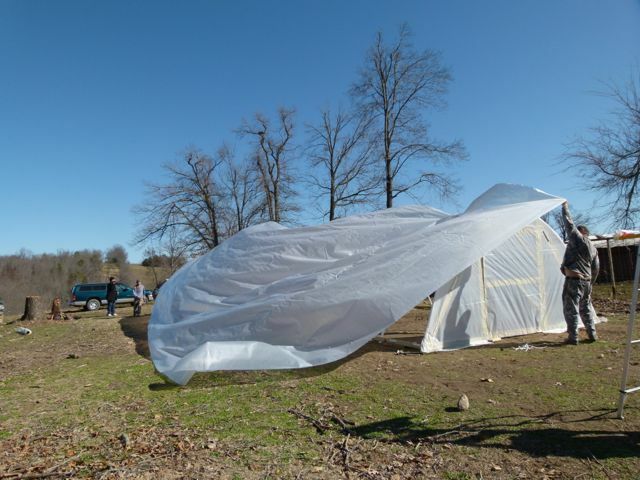 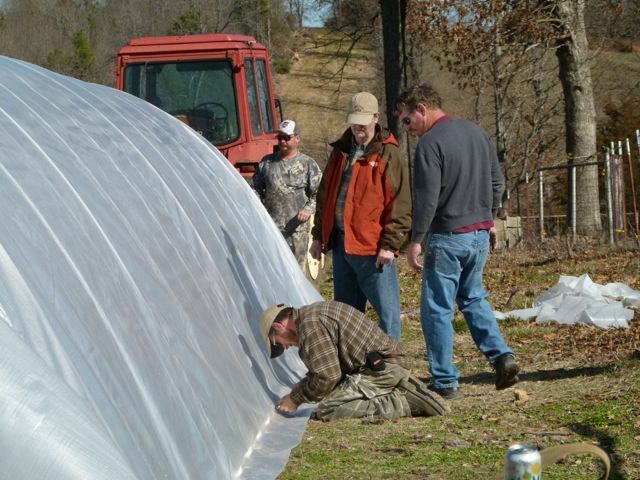 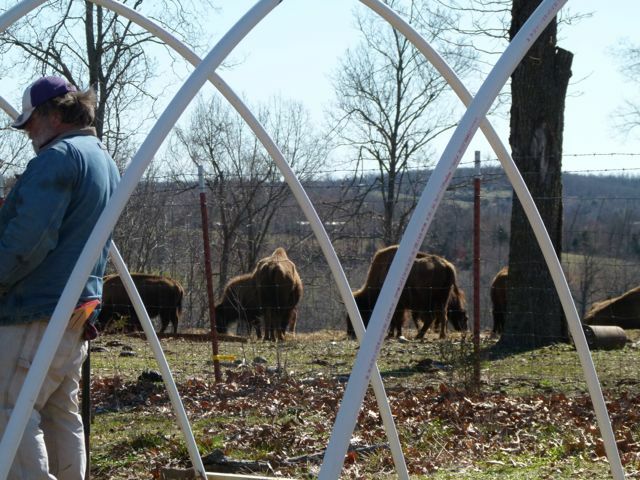 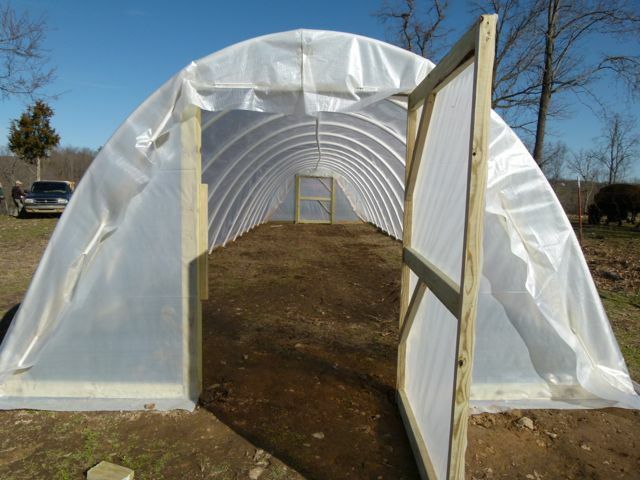 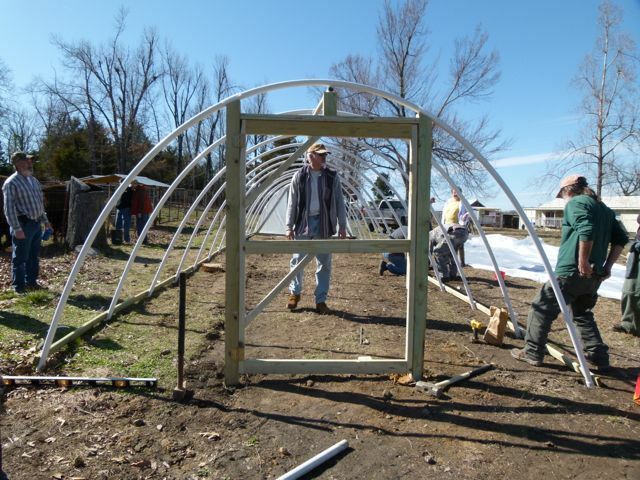 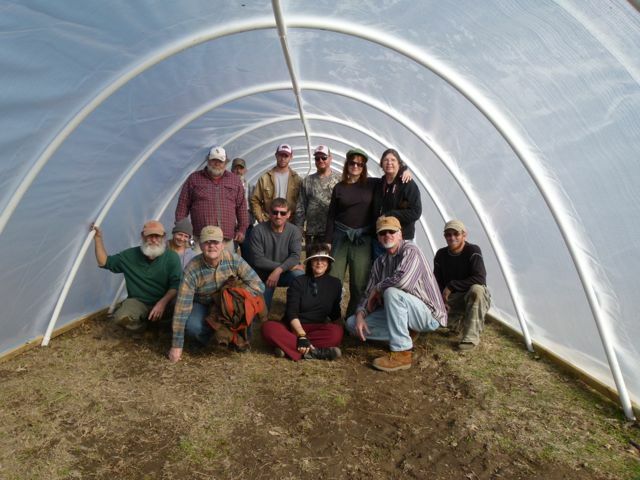 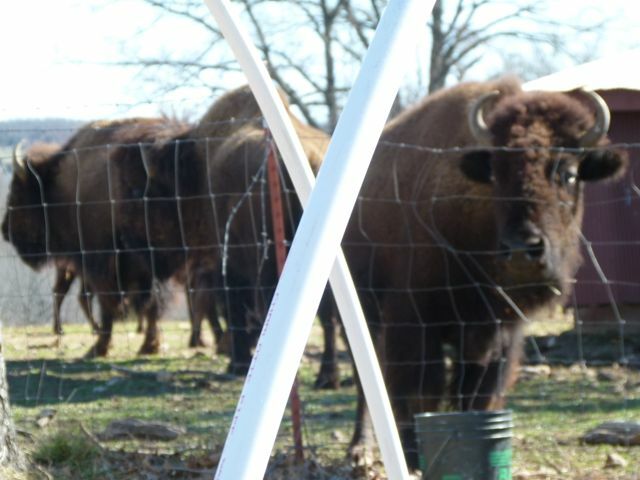 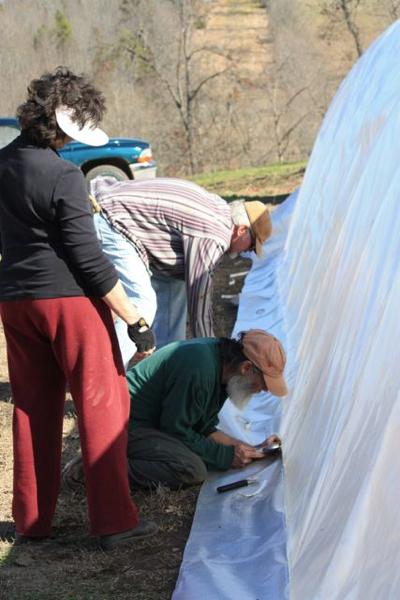 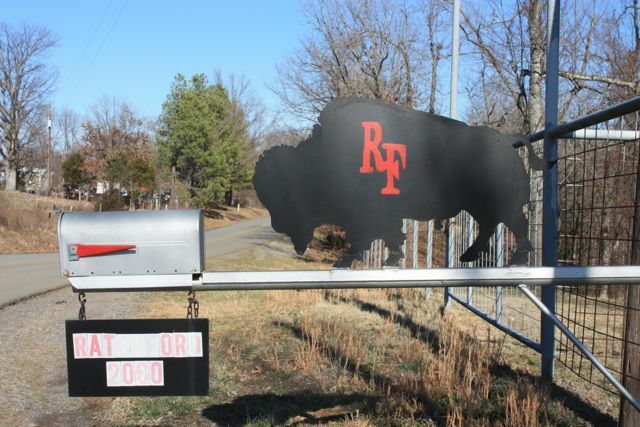 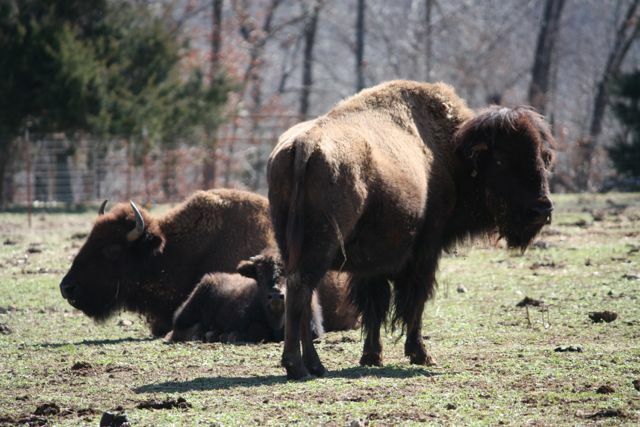 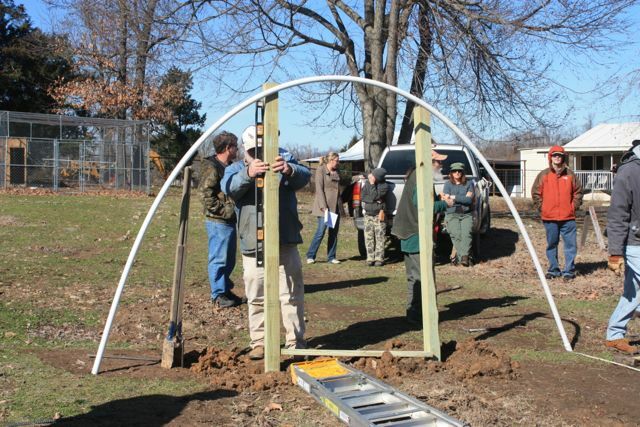 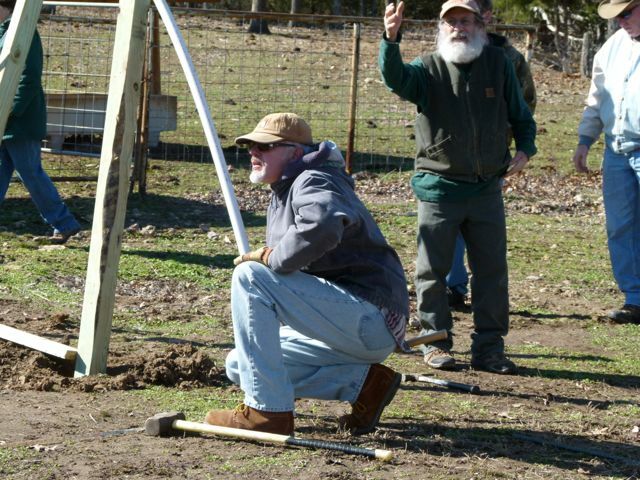 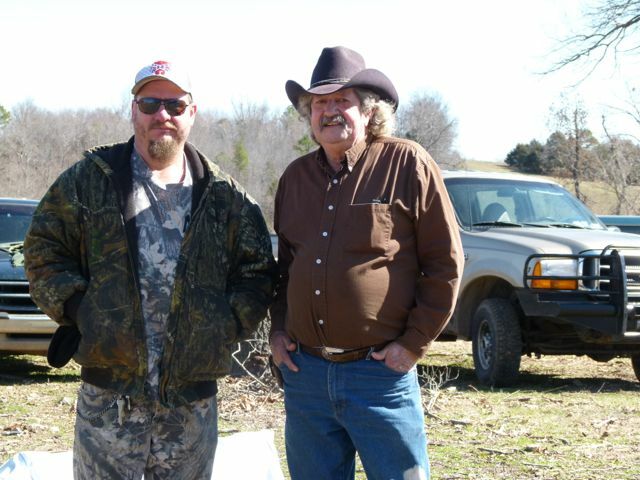 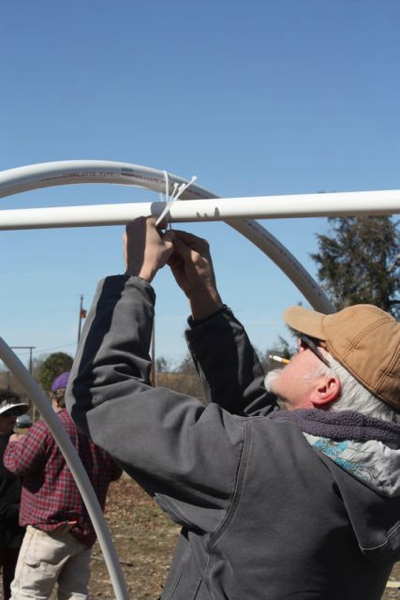 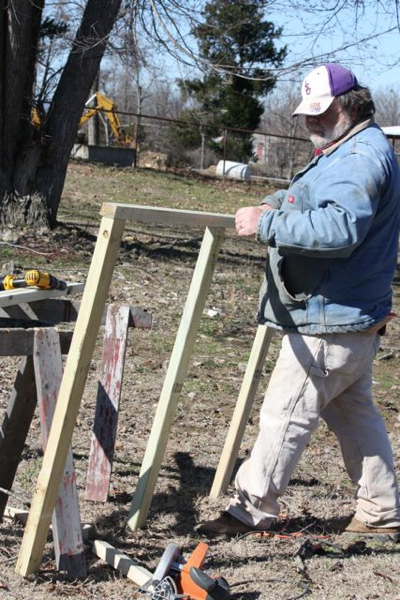 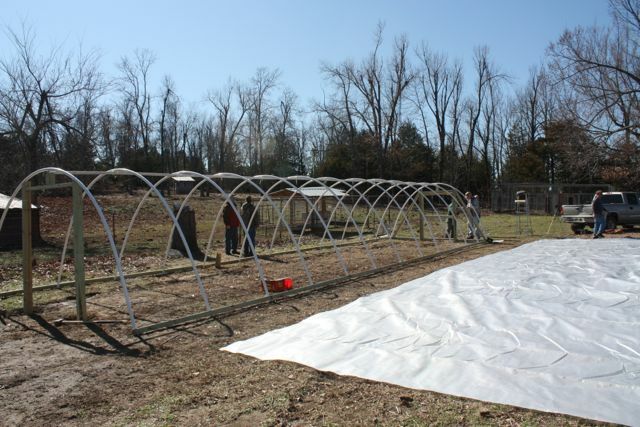 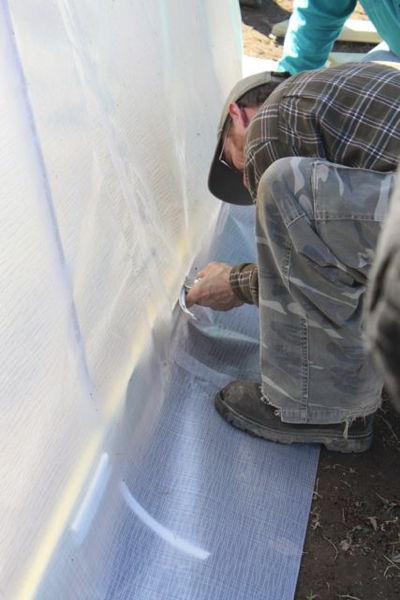 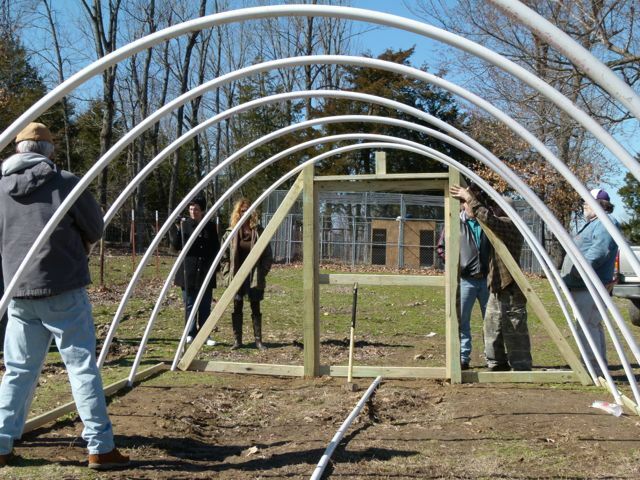 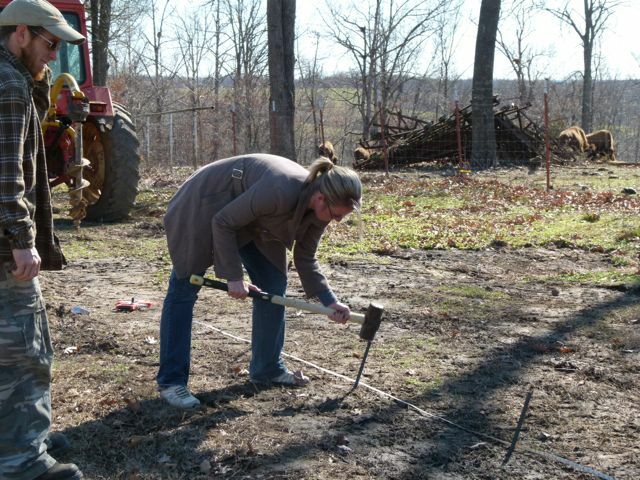 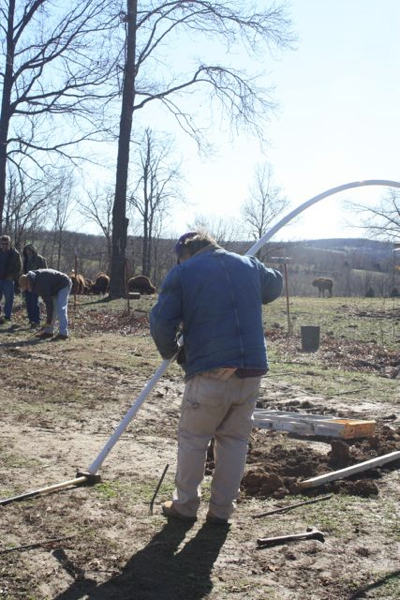 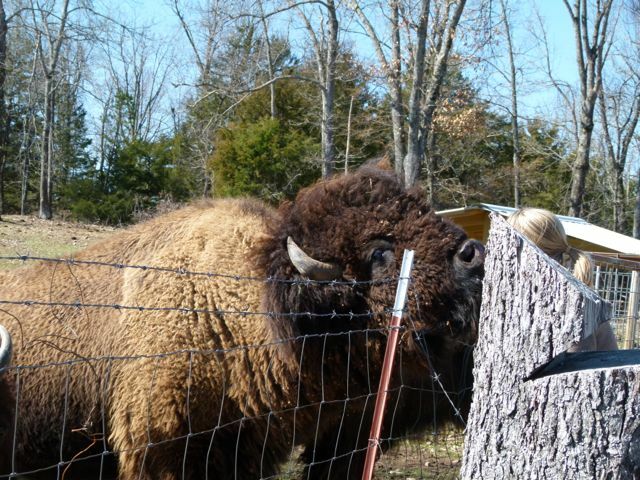 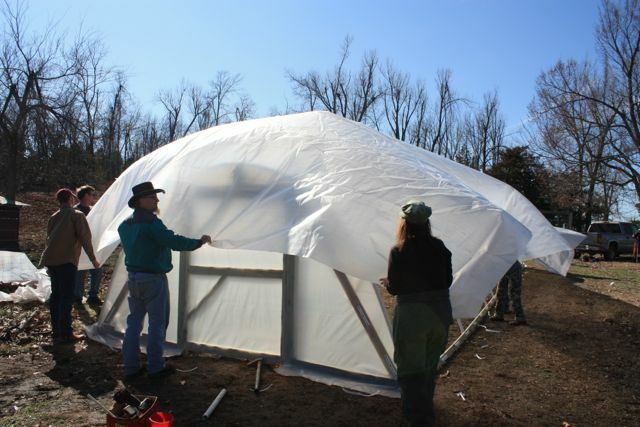 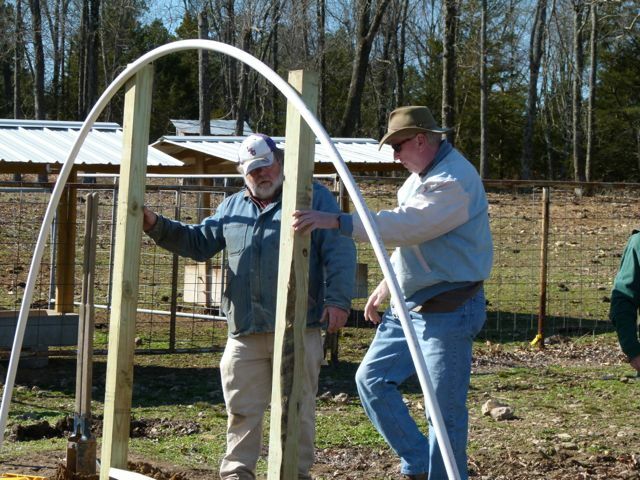 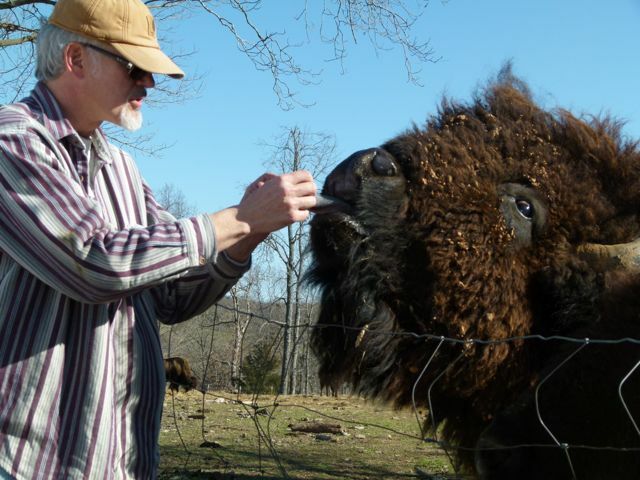 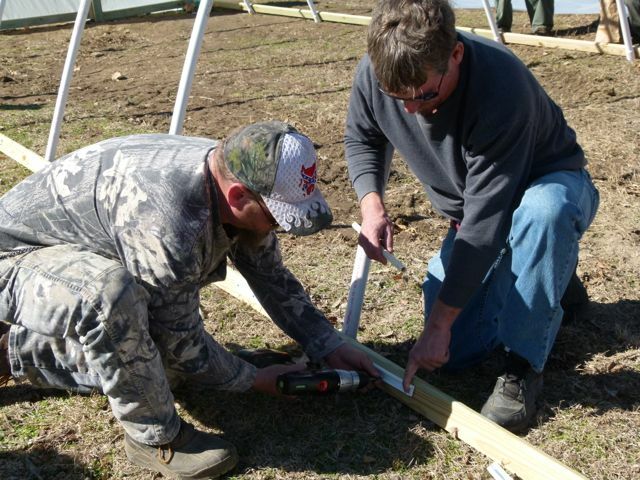 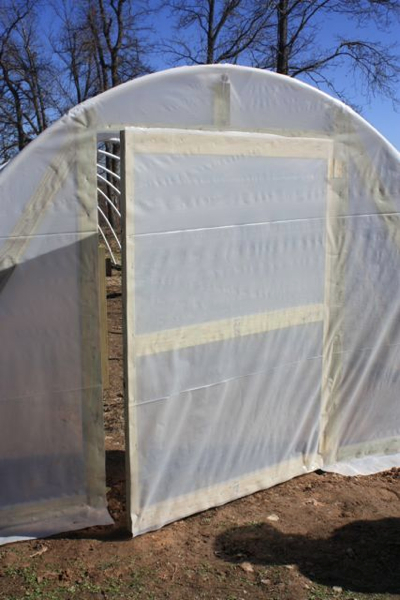 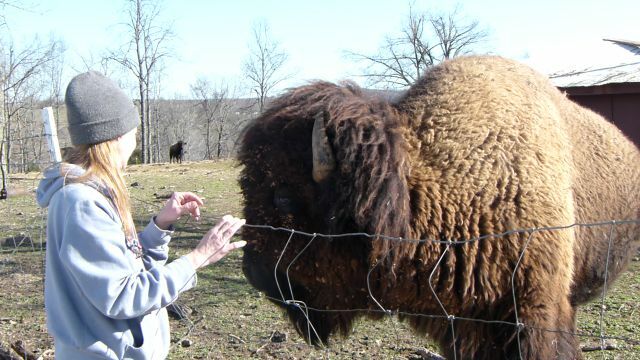 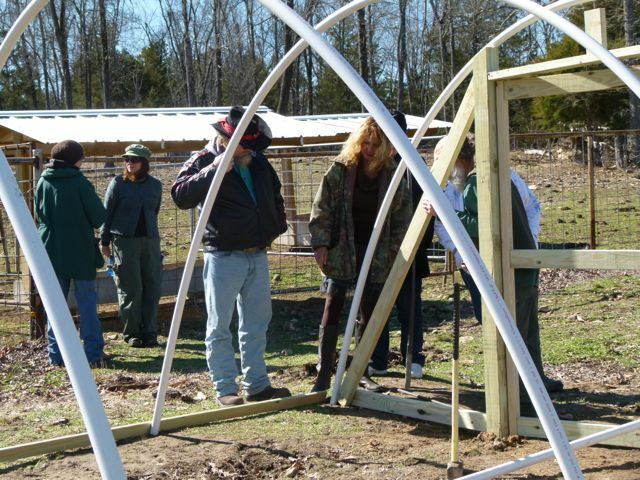 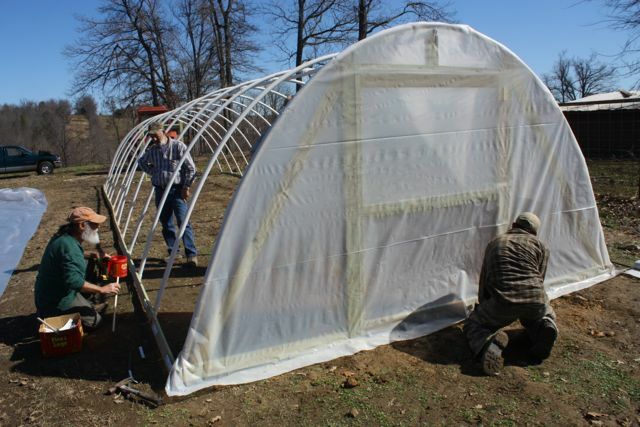 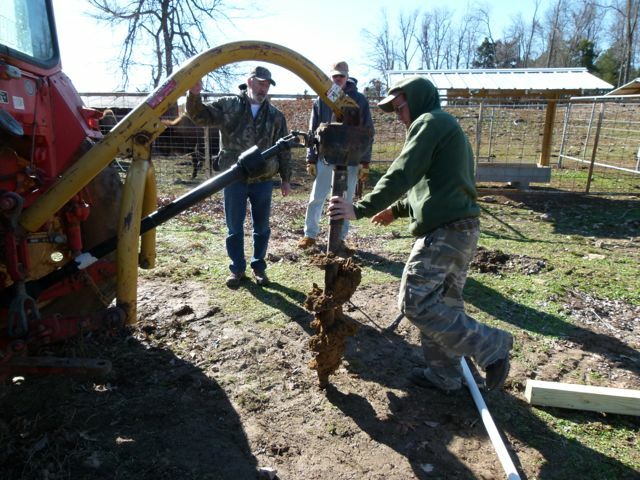 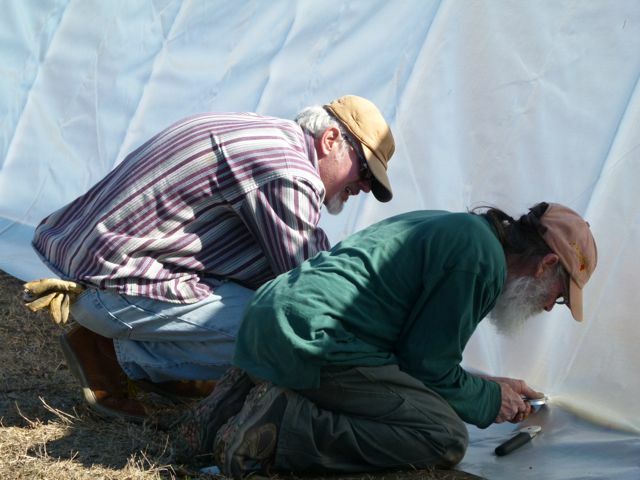 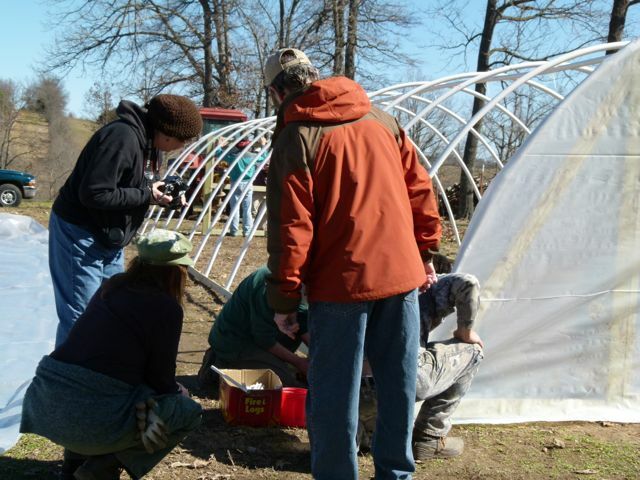 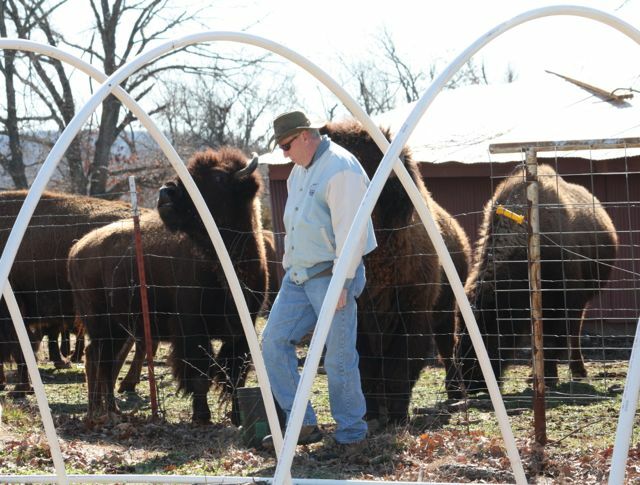 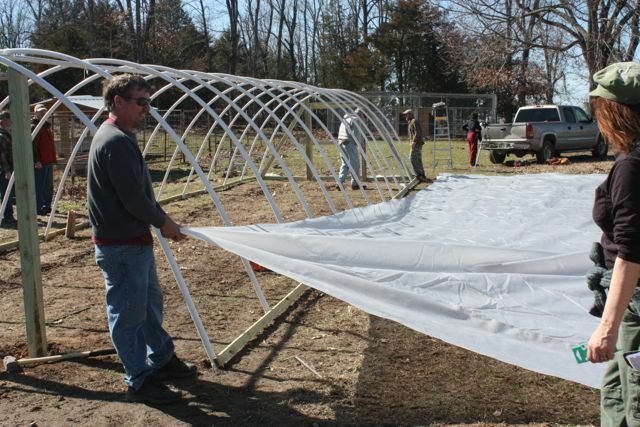 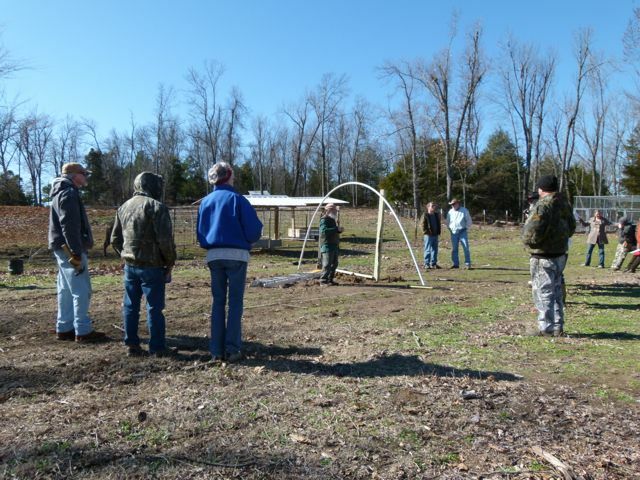 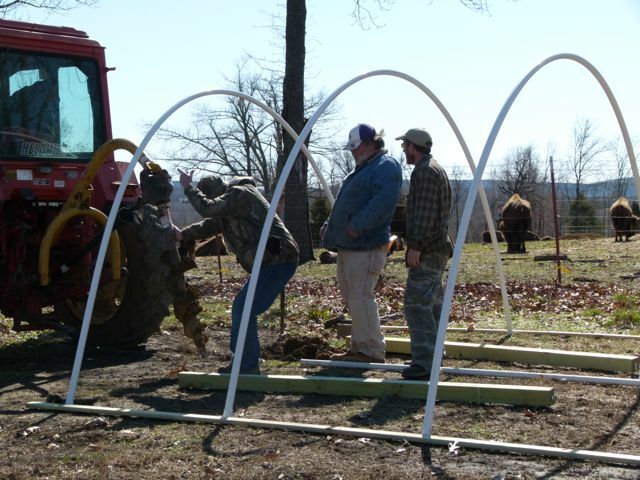 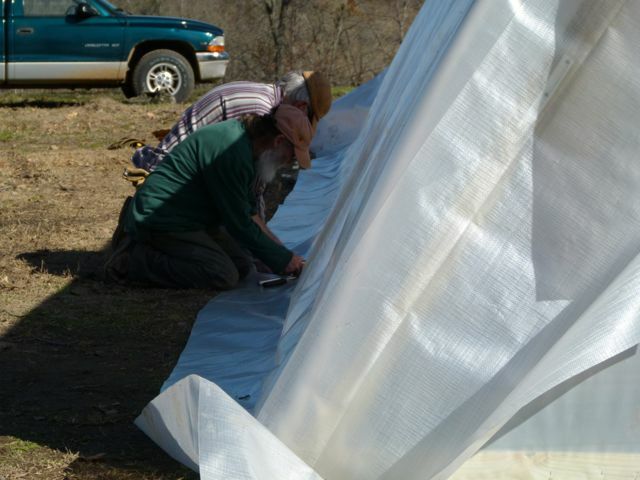 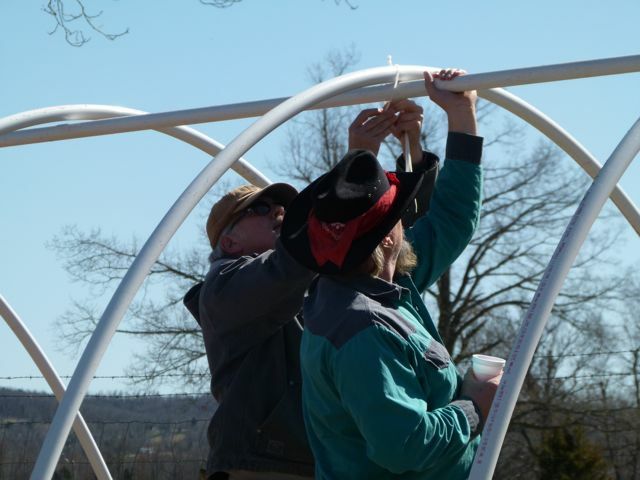 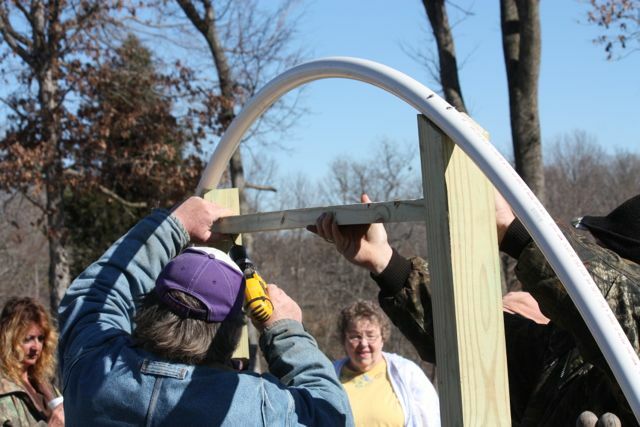 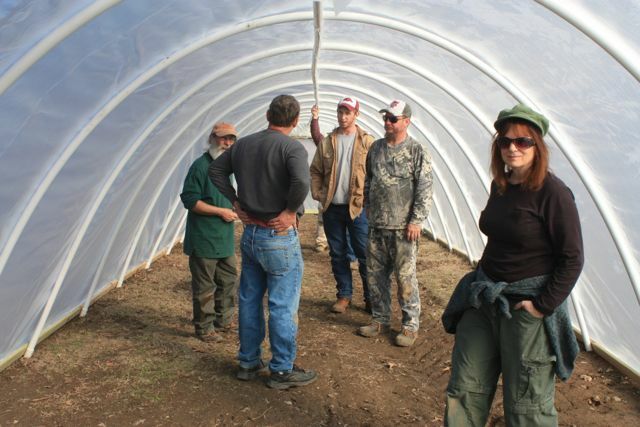 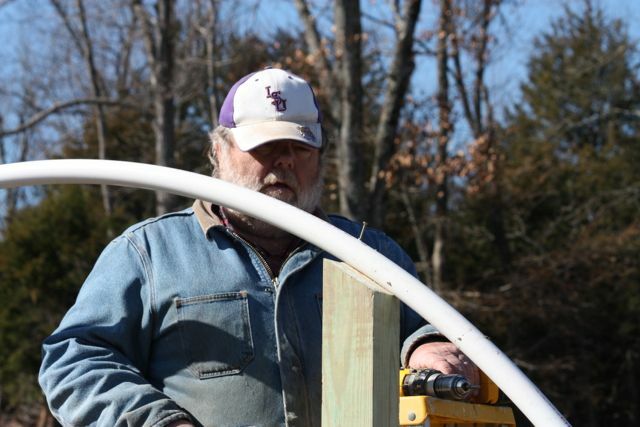 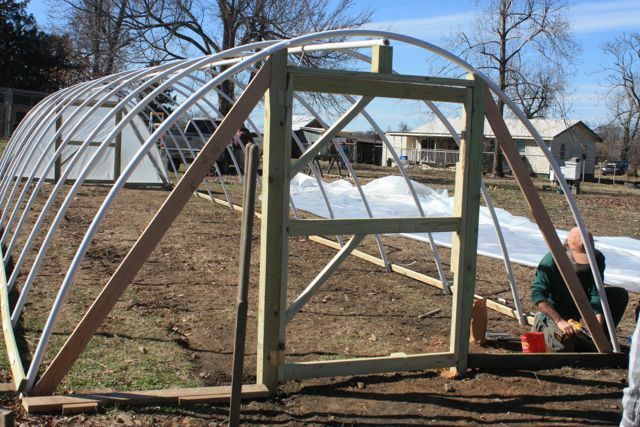 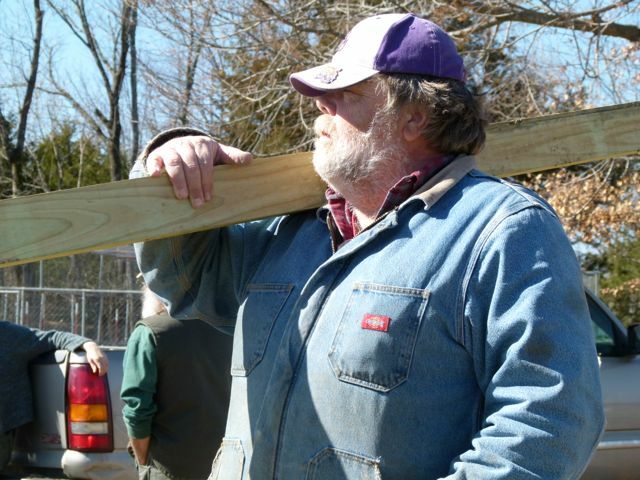 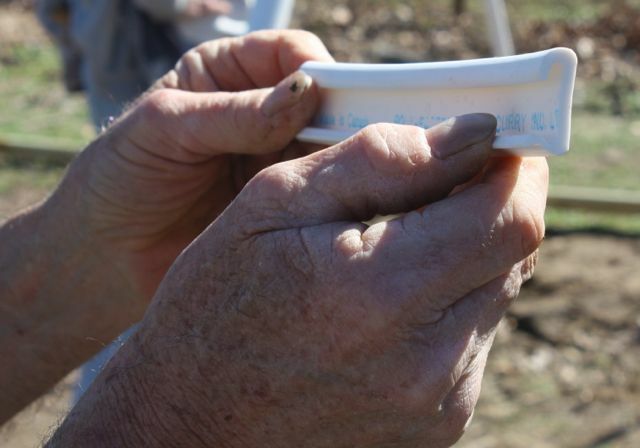 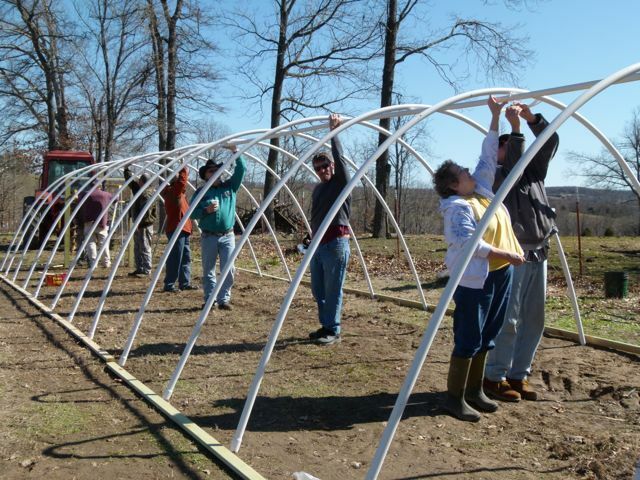 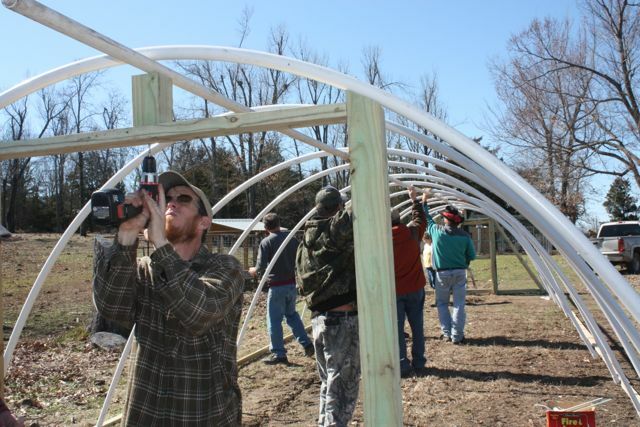 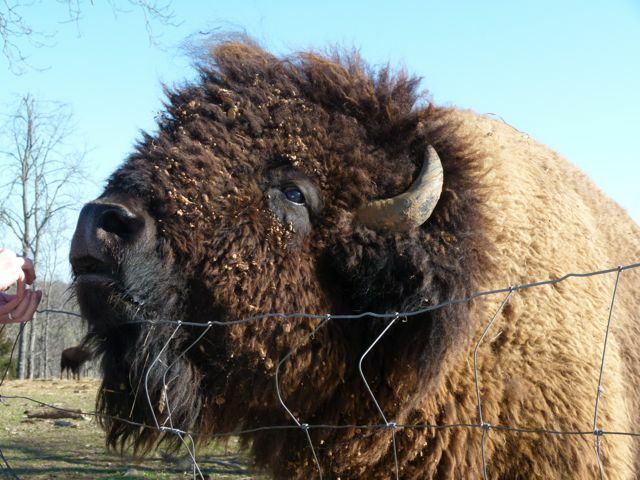 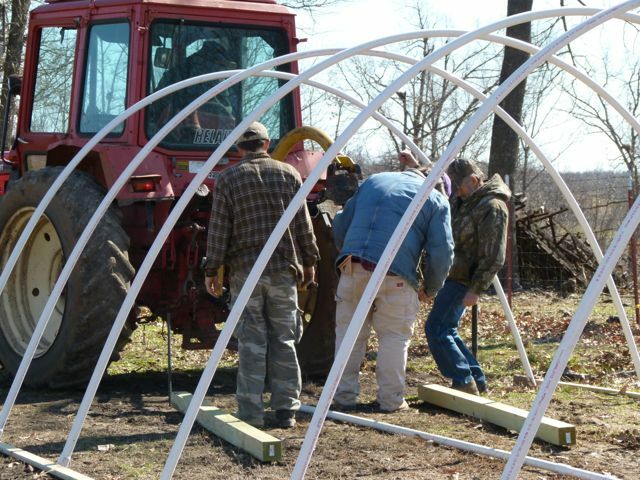 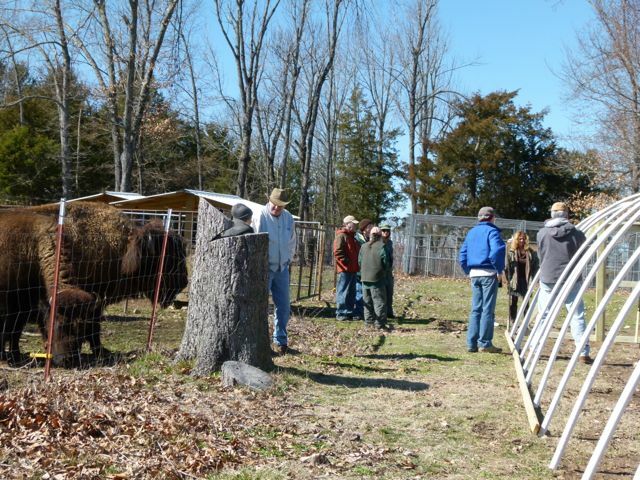 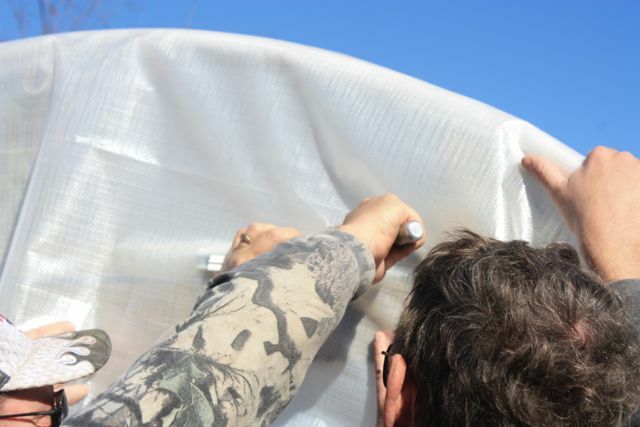 With equipment enough to erect more than five miles of steel fencing to restrain the buffalo, all LC and his crew needed was a little boost to get their cold frame projects underway. 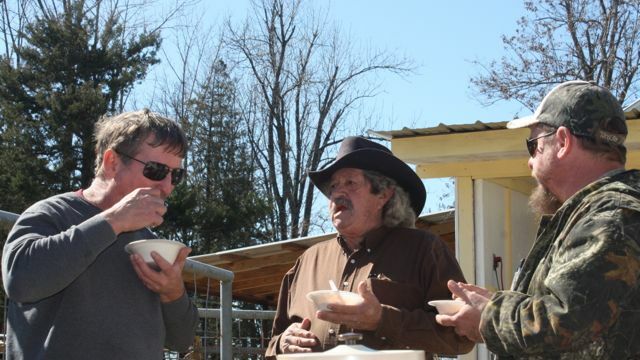 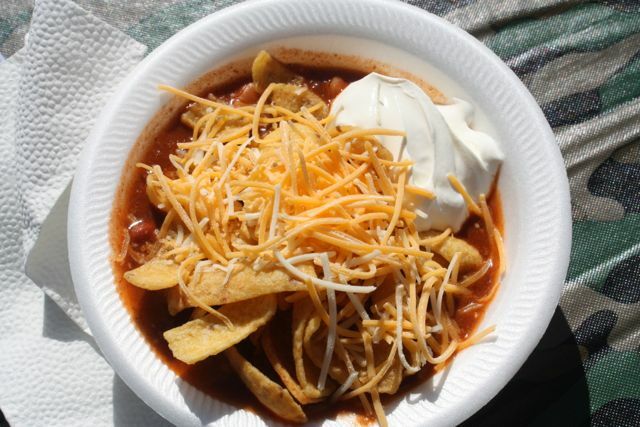 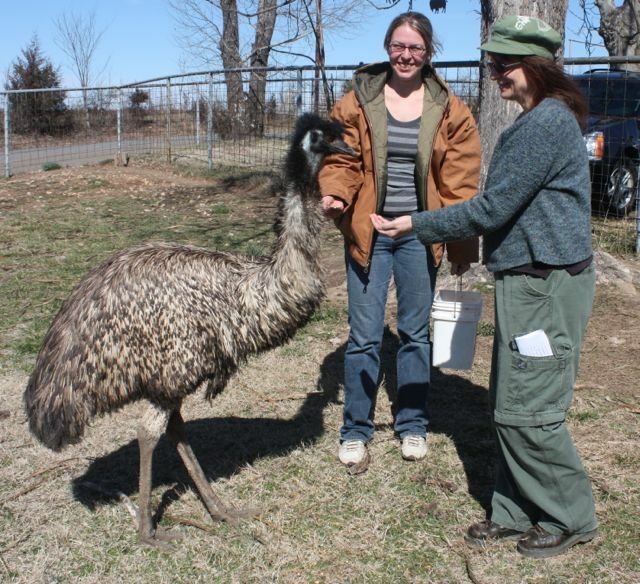 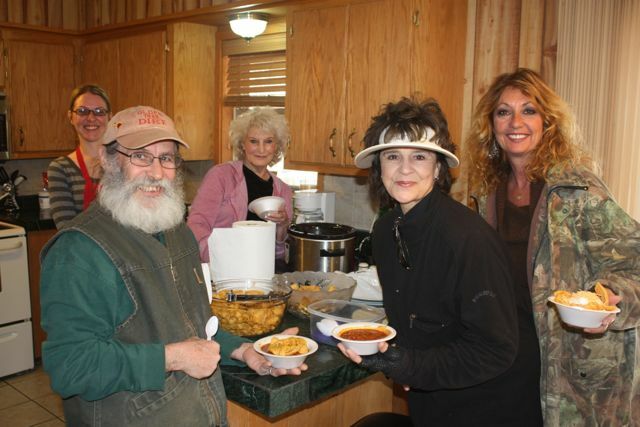 LC’s sisters were on hand to serve us some delicious buffalo chili and, those that wanted were treated to a tour of Ratchford Farm buffalo corrals; a view of Ratchford’s expansive value-added food inventory; and interaction with several people-friendly emu’s and their corral mate, a llama. 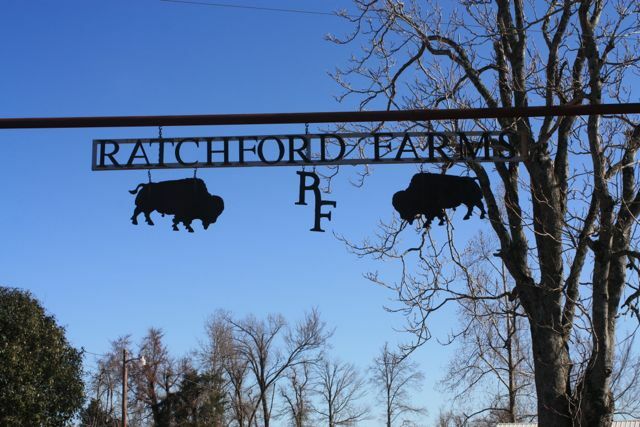 Here’s a look at our day at Ratchford Farms!